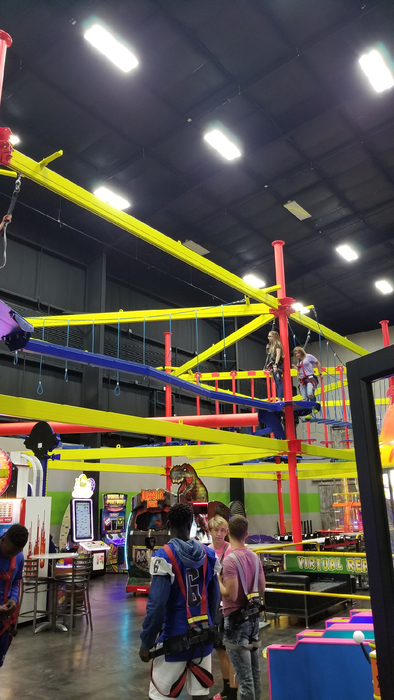 Join us for a night of fun! 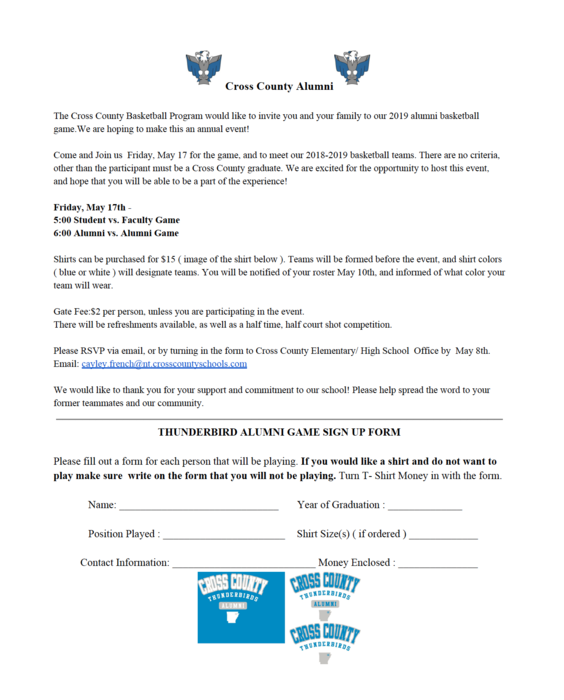 The Cross County Basketball Program is hosting an alumni vs. alumni and student vs. faculty game May 17, 2019. We have attached an entry form and additional information. 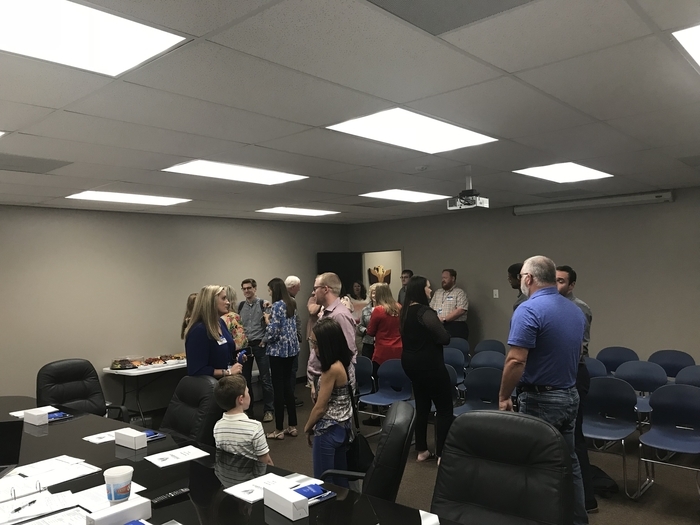 Give us a call at 870-588-3337 if you have any questions. 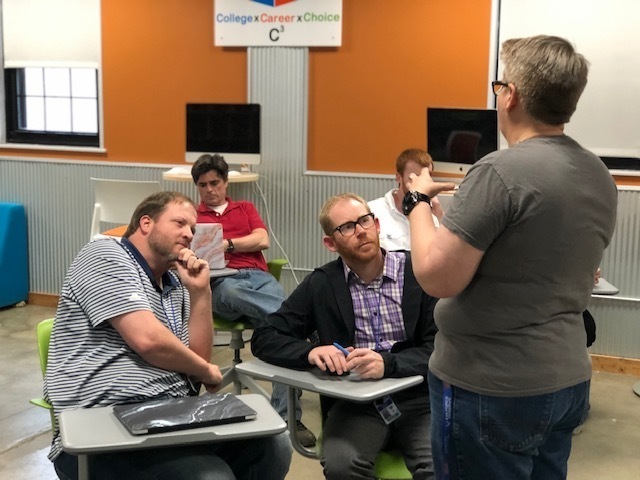 Adult learning is just as important as student learning at Cross County High School. 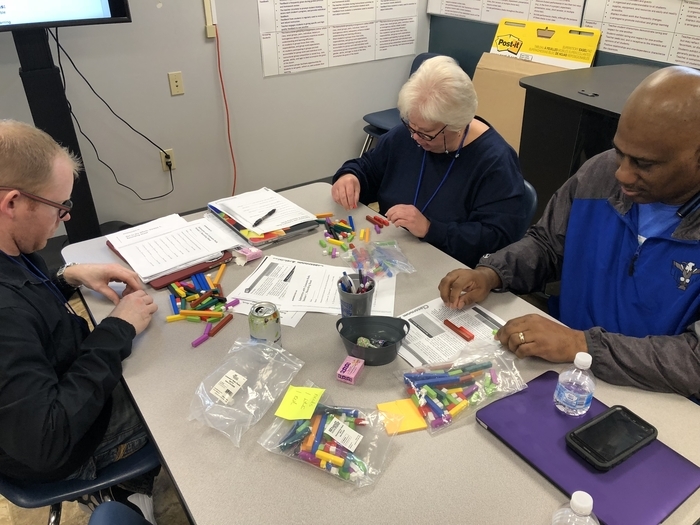 Our team of dedicated teachers even work after hours to ensure they are improving instruction to help our students succeed. 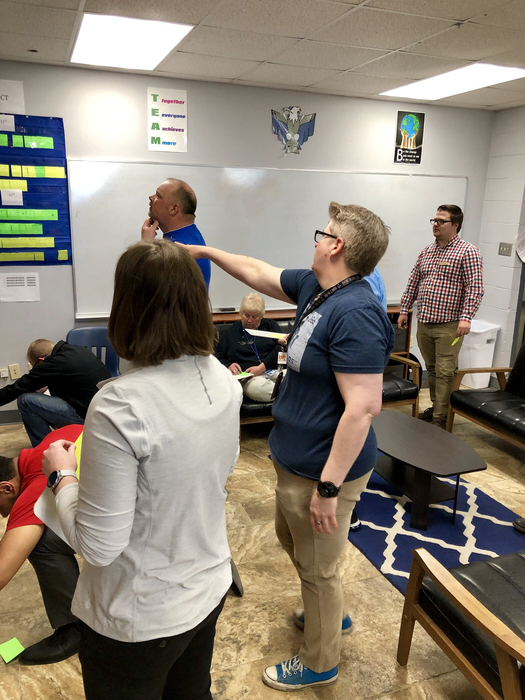 Come innovate with us at Cross County Schools! The May 1st deadline for school choice is fast approaching. Call today at 870-588-3337 to find out how to be a part of our award-winning schools. 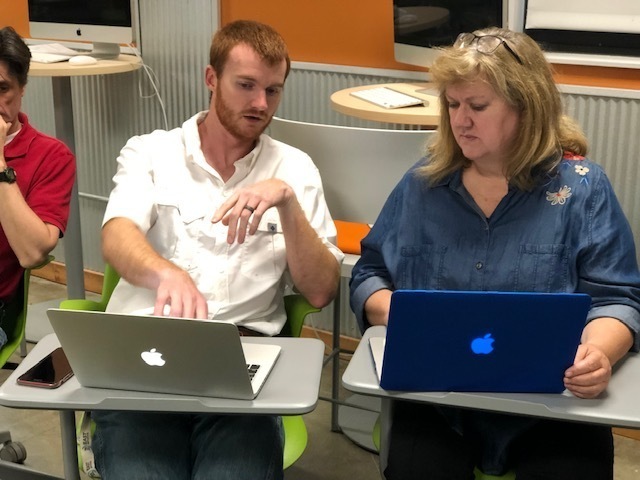 For the past several months, Lauren Hagler has been participating in the ARCare/U of A Hawk Moth Writer’s Series in Augusta. 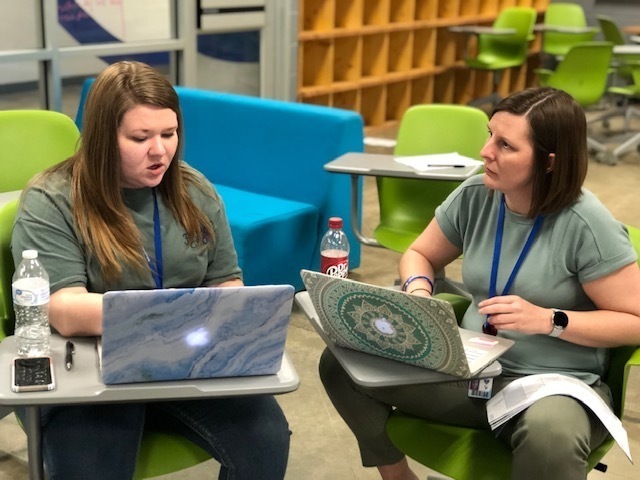 Lauren has been working with graduate students from the University of Arkansas to create writing pieces that will be published at the end of the school year. 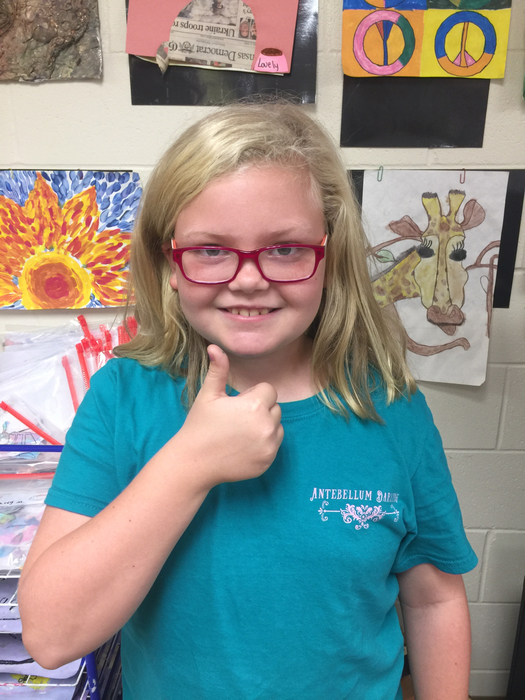 Lauren will be going to U of A-Fayetteville where she will have the opportunity to participate in a writer’s workshop with author Greg Brownderville. Additionally, Lauren will receive a $500.00 book scholarship at the college of her choice when she graduates! Congrats Lauren! 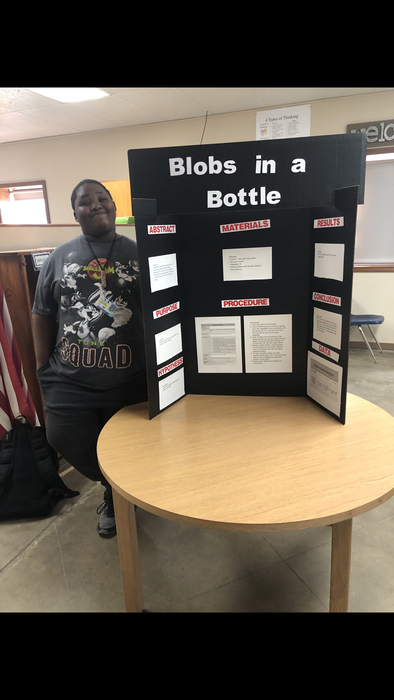 Three students recently participated in the state-level "You Be the Chemist" competition in El Dorado. Bo Cook, Angel Cotton, and Lexie Jarrett did an amazing job. Bo and Lexi even made it to the quarter-finals! 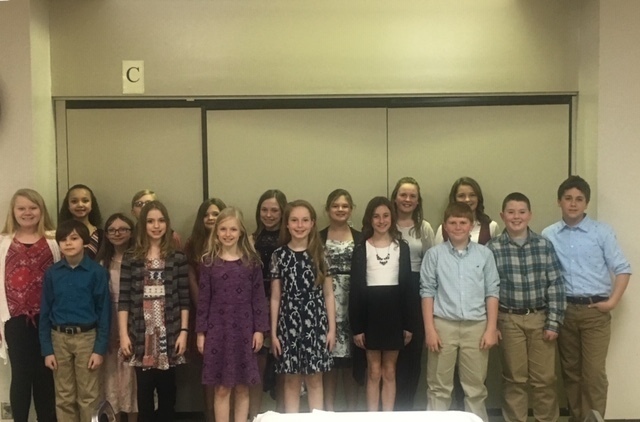 Help us congratulate these students on a job well-done! 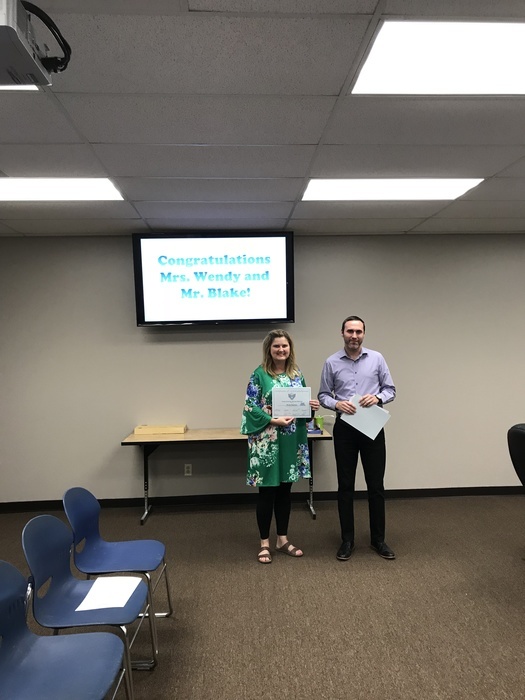 And thank you Mrs. Armstrong for helping our students find success inside and outside the classroom! 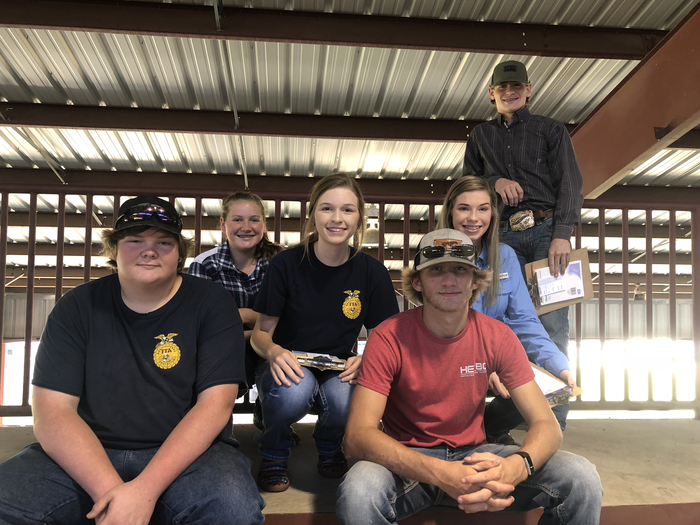 Recently, some of our FFA students participated in the NEARB Spring Show and they cleaned up! 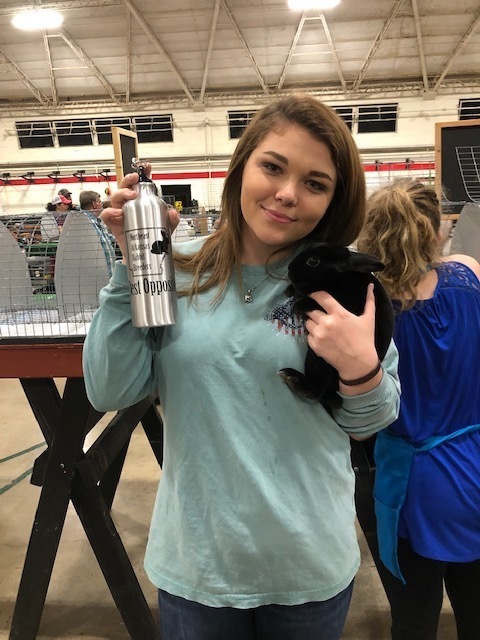 Lily Bowles showed her prized rabbits and won many awards. 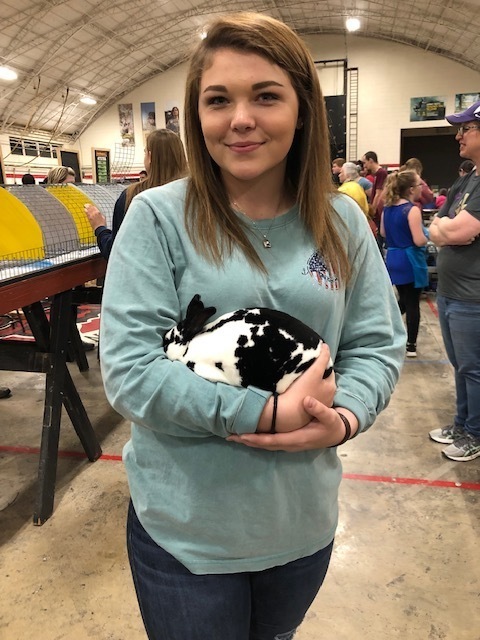 Her rabbits won First in Class, Best Variety, Grand Champion Black, Second in Class, Grand Junior Buck, First in Class Jr Doe, and Champion Junior Doe. 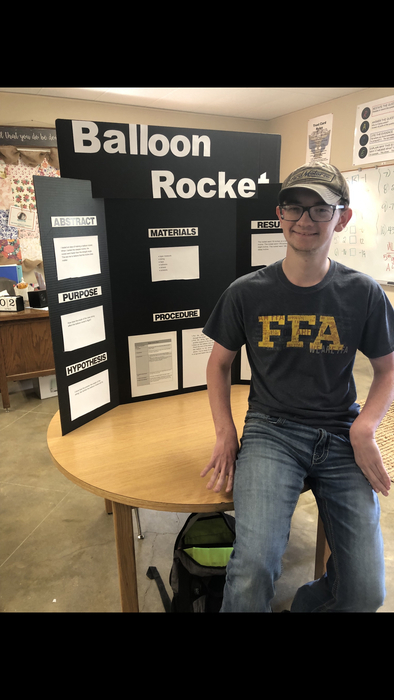 Trace Davis is no stranger to winning at FFA showings. 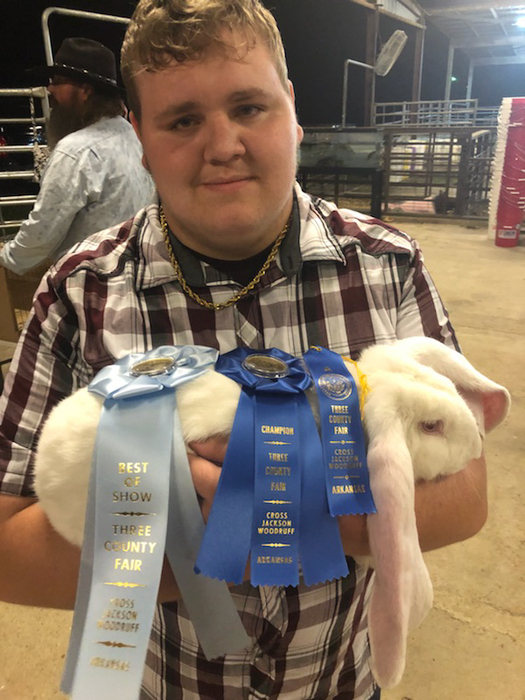 His rabbit won Best of Variety, Best Opposite, Champion Senior Buck, and Best of Breed. 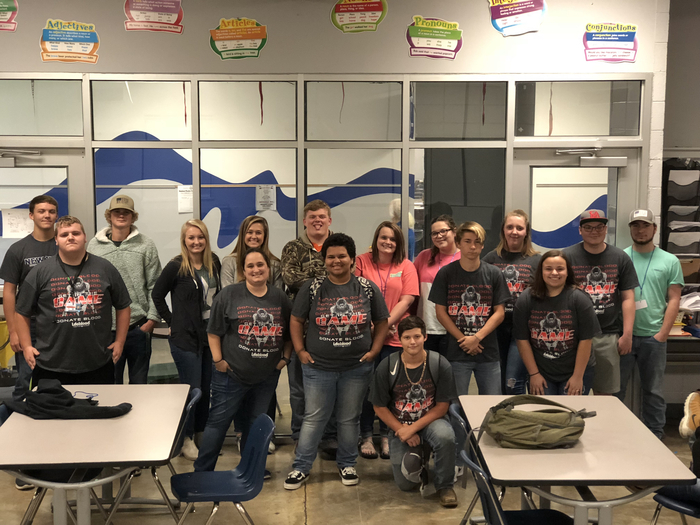 These students work hard and understands the important impact FFA and Agricultural Sciences have on our community and world at large. 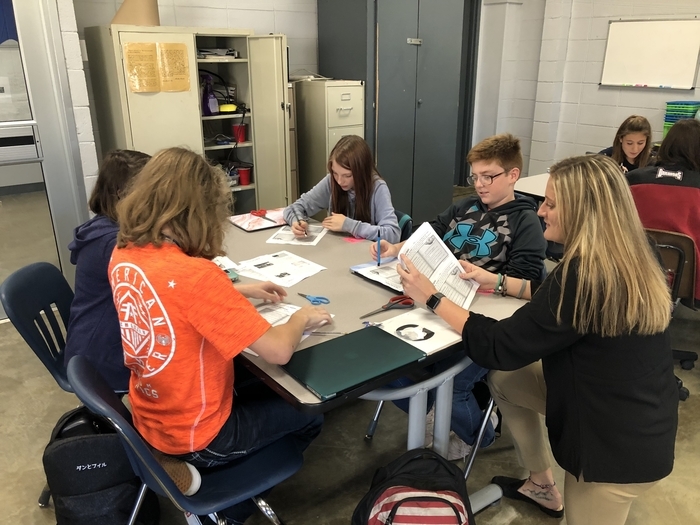 Great things are happening for our students at Cross County High! Mr. Jerry’s bus will be running approximately 15 minutes late this morning. Reminder: There will be no school on Friday, April 19 or Monday, April 22! 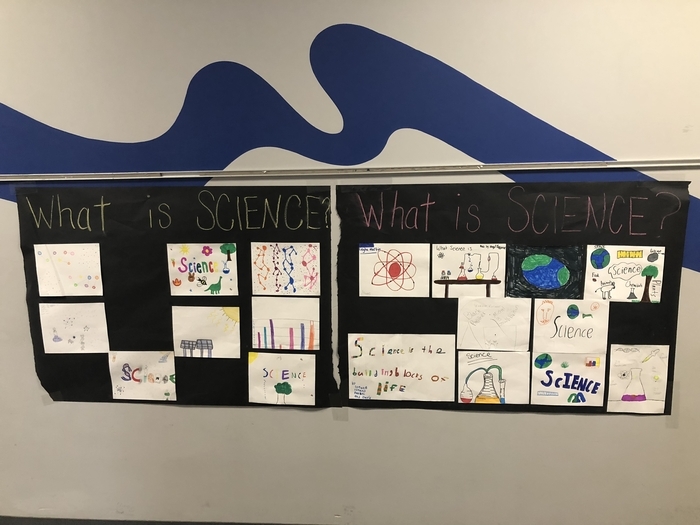 Mrs. Sullivan’s science class took science to another level. 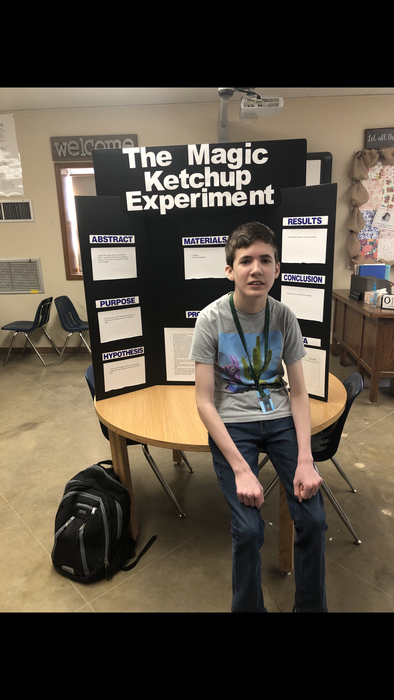 They had their very own science fair to demonstrate just how much they know about science. Dillion, Greg, and Bryce did amazing work! Bryce took home the overall win! Help us congratulate all three on their hard work and dedication to furthering their knowledge of science. We can always count on Mrs. Sullivan to make her classes fun and exciting! 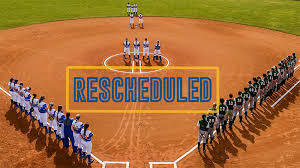 The baseball game tonight has been rescheduled. We will update you with the new game date and time when it is available. 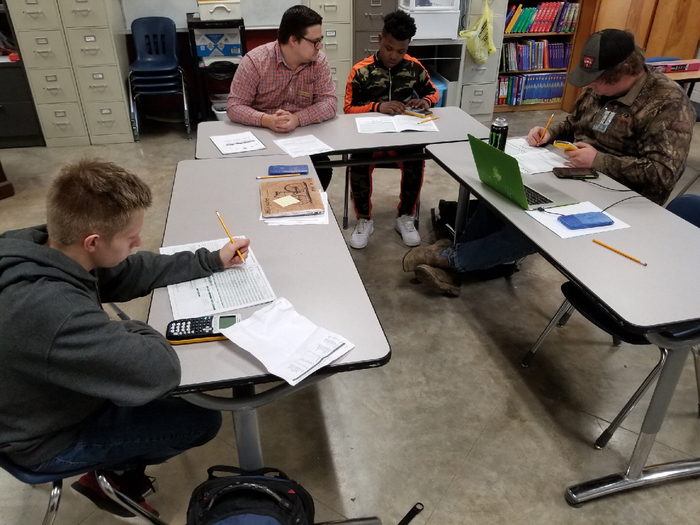 Mr. Rolland’s math class is learning about personal finance. He is teaching them how to write checks and enter them into a ledger. They are also learning how to complete a deposit slip, enter debit card transactions, and reconcile a bank statement. 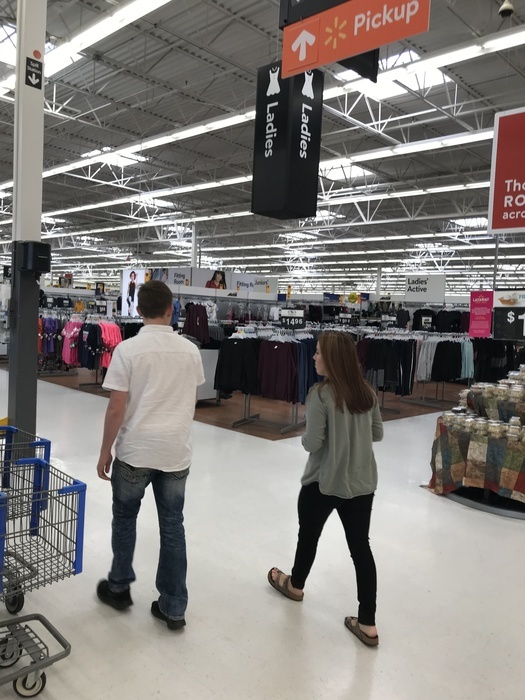 These real world skills will be very beneficial to our students as they become young adults. Thank you Mr. Rolland for helping our students understand how math works in life. 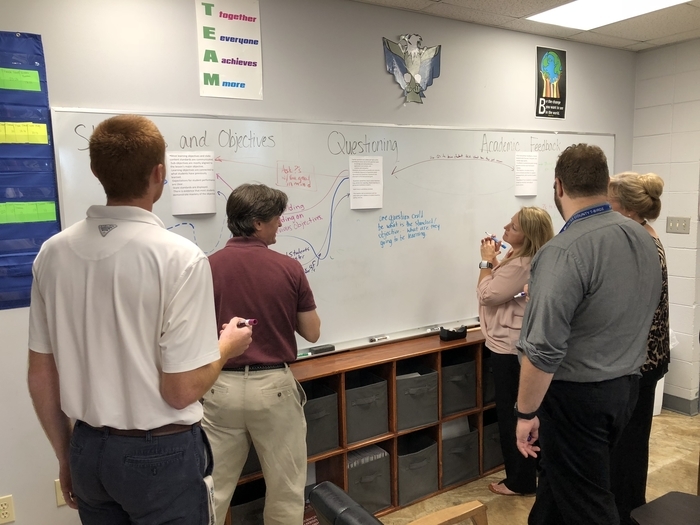 Even though the school year is winding down quickly, our teachers are still hard at work analyzing student work and data to determine how we can keep helping our students at Cross County High succeed. 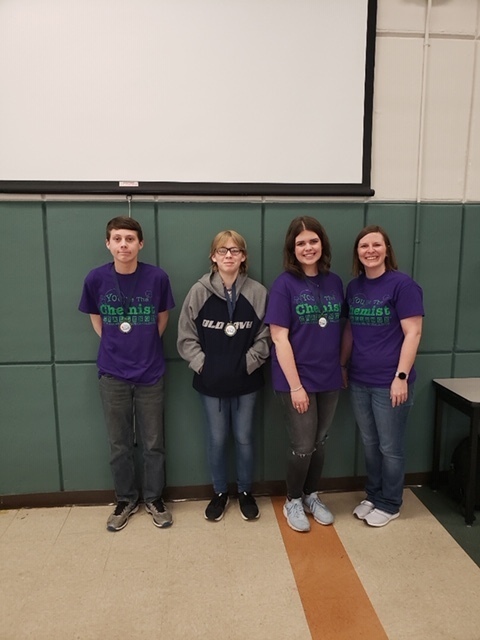 A group of Ms. Armstrong's 7th and 8th grade science students competed in the "You Be The Chemist" challenge at Wynne Jr. High School. This challenge celebrates and elevates the science of chemistry to inspire on-going study and careers in science. Cross County's own Angel Cotton placed 3rd overall and Lexi Jarrett placed 4th overall. 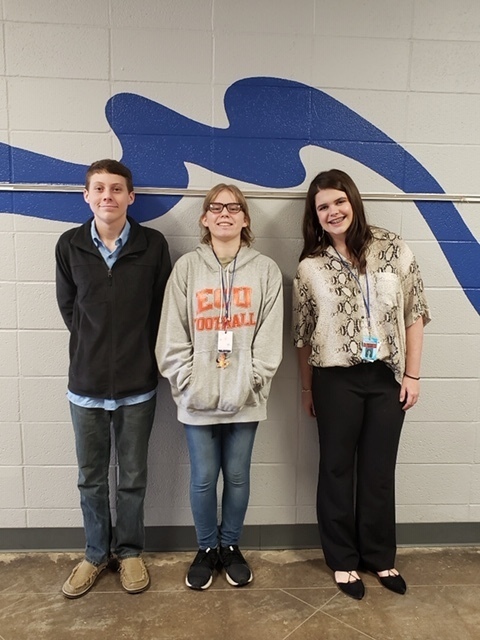 Angel, Lexi, and Bo Cook qualified for the state competition held in El Dorado on April 2! 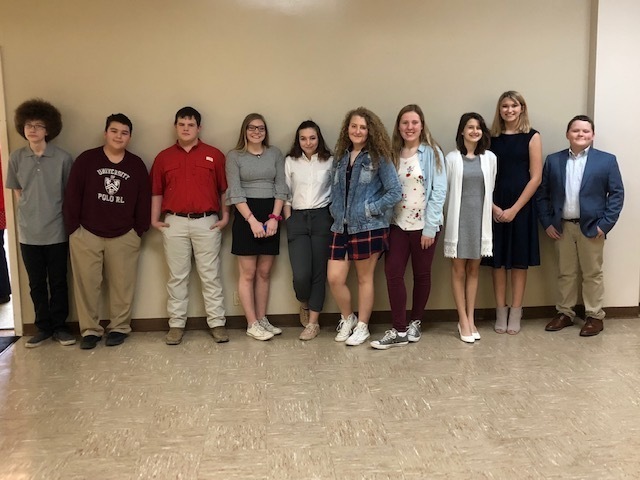 Help us congratulate these students on such an awesome accomplishment. Thank you to Representative Milton Nicks Jr. for inviting our students to be Legislative Pages at the Arkansas State Capitol yesterday! Our students were busy on the floor of the House, toured the Treasury, and got to meet Governor Hutchinson! 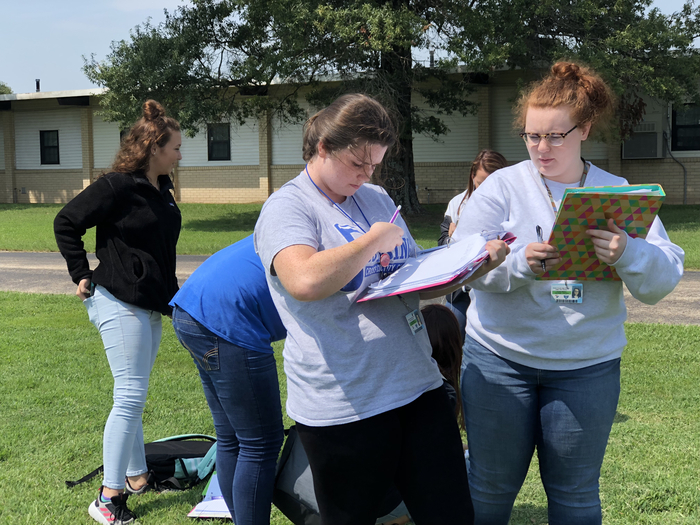 Mrs. Lacy’s Advanced Placement Environmental Science class finished a unit on pollution. 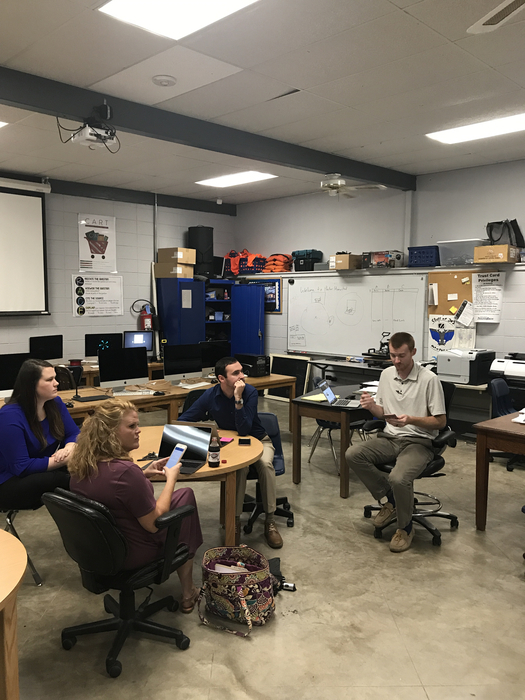 As part of the unit’s closure, students visited various labs at Arkansas State University. 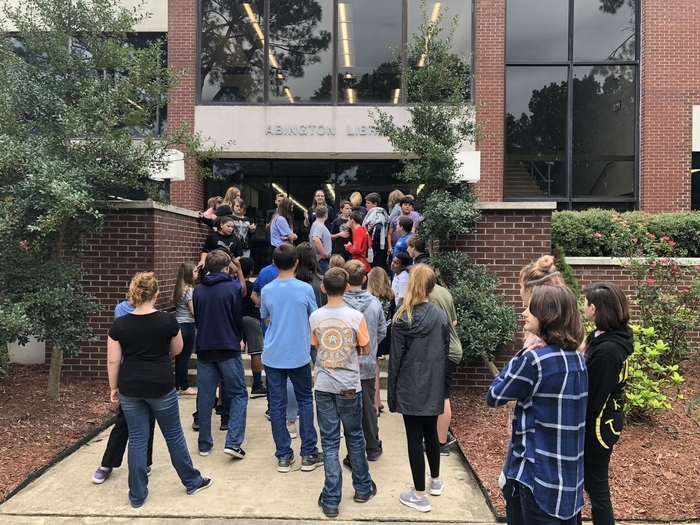 Students experienced the eco-toxicology research facility where they learned about water quality testing and an atmospheric lab that researched temperature, humidity, and light intensity through weather balloon payloads. They also stopped by a makers lab with several 3D printers. 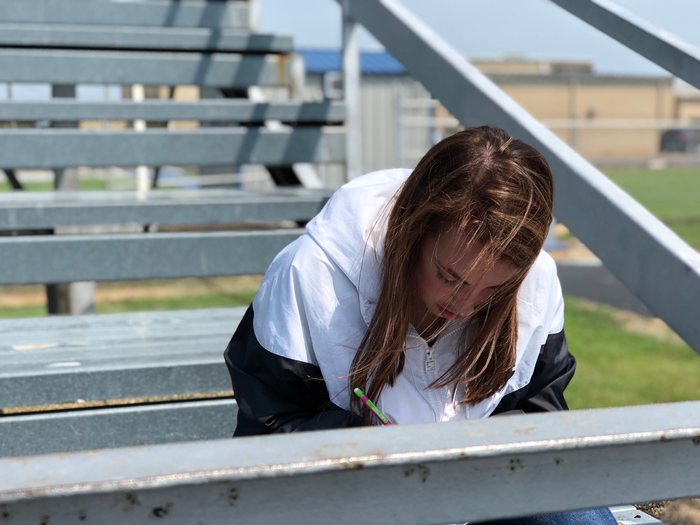 Part of Environmental Science focuses on sustainability so this opportunity fostered problem solving, generating ideas, and the love of science so our students can continue to enjoy all the wonders of our world. Thank you Arkansas State University for hosting a great visit and a great day for our students! 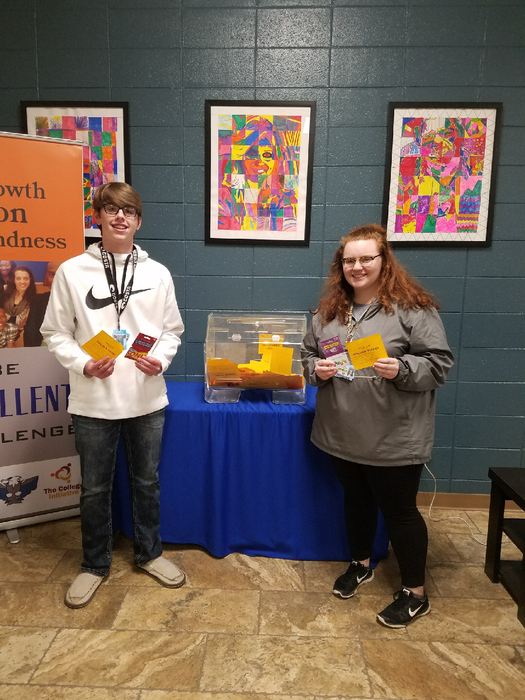 Help CCHS celebrate our recent “Be Excellent Challenge” winners: Matt McGinnis, Isabella Guerrero, Grant McCommon, and Carson Melton. Great job students! Our students love working with sand to practice their spelling features. This week they having been working on the suffix -ing. Way to work hard first grade! 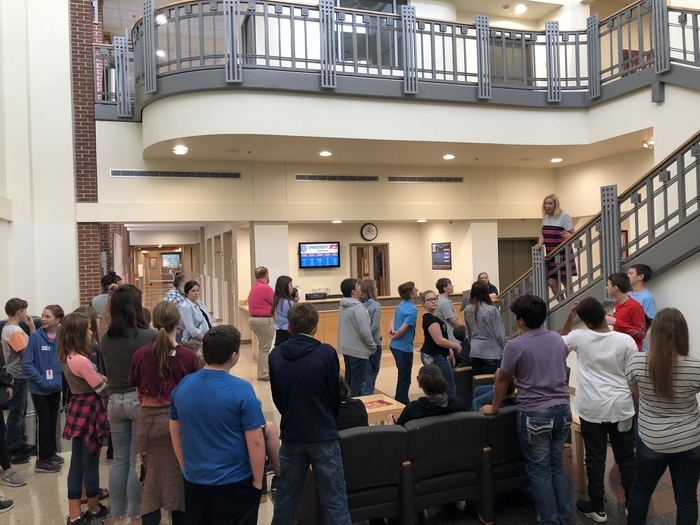 Cross County High School is looking for an energetic person with a good understanding of science to fill in as a long-term substitute in upper-level science classes. The courses taught are Chemistry, Physical Science, Environmental Science and Anatomy. A teaching license is required, preferably with an endorsement in science. Please contact Stephen Prince at 870-588-3337 or stephen.prince@nt.crosscountyschools.com for inquiries or to apply. 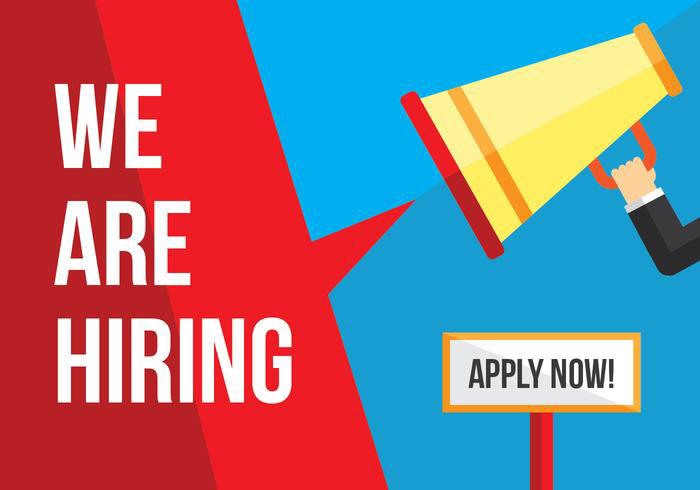 To apply, simply submit your resume to the email address listed. 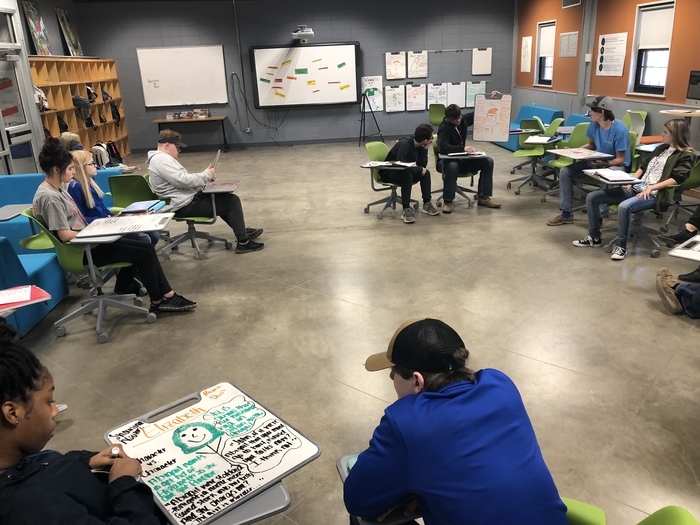 Mrs. Lacy’s 10th grade English class is reading The Crucible, so today they analyzed key characters and presented their comparisons based on the author’s characterization. Great work students! Our 5th graders have been researching influential Americans using print and digital resources. It is important to know how to use both effectively! If you play baseball or softball, there is no practice today. 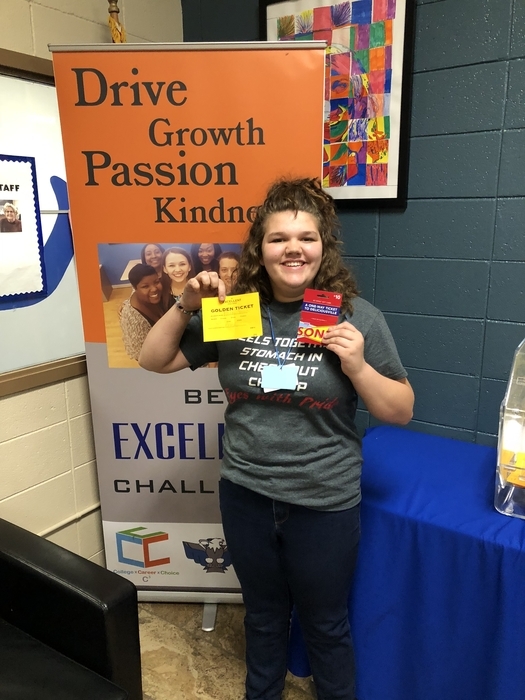 Congrats to Kaitlyn Cantrell for being this week’s Be Excellent Challenge golden ticket winner! 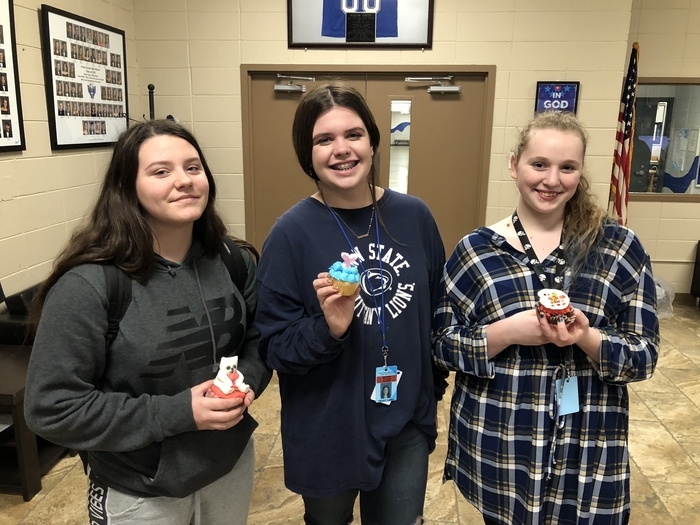 Mrs. Sanders second FACS class also participated in Cupcake Wars! 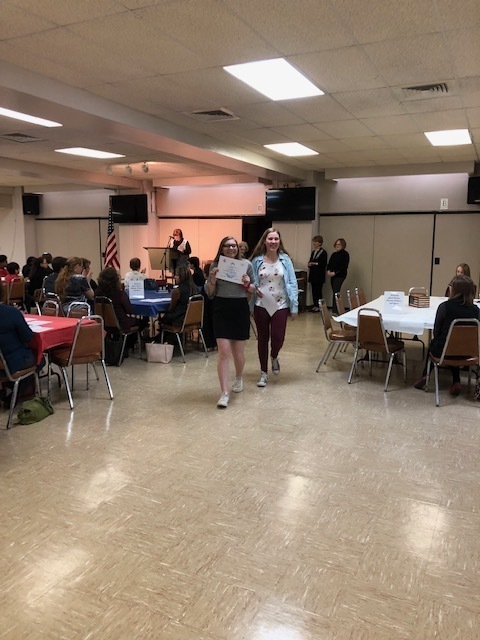 The winners are: First place: Trinity Crosby for “White Bear” Second place: Lexie Jarrett for “Little Mermaid” Third place: Katelynne Neldon for “Shish-k-bob on the Grill” They all did a phenomenal job! Did you hear our amazing teacher interns, Cristal Coronado, Morgan Davis, and Carly Shannon on the radio Tuesday morning? 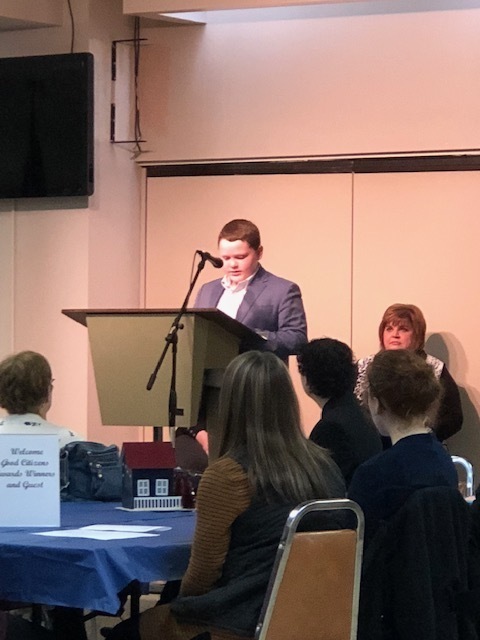 If not, make sure you tune in March 12 to the next T-Bird Tuesday Radio Show to hear more about all the wonderful things happening at Cross County! 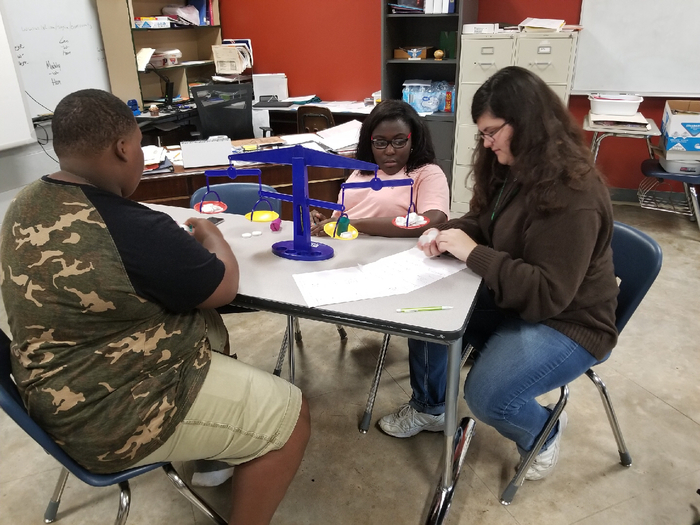 Mrs. Armstrong is always finding ways to make science fun and hands-on! 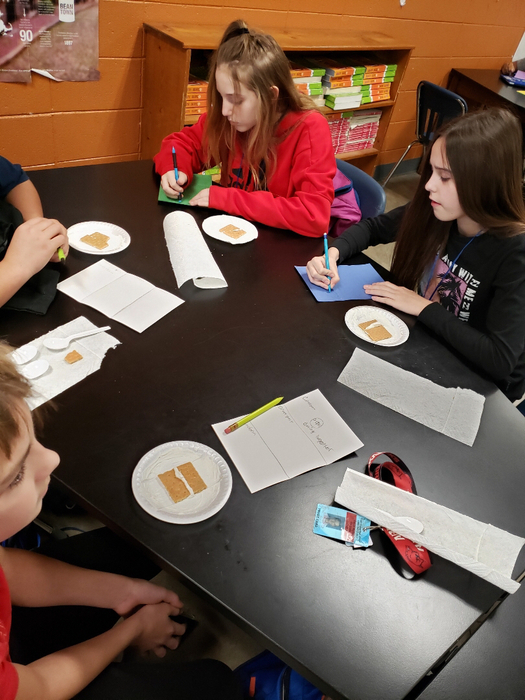 7th grade science students learned about plate boundaries as part of an Earth Science unit using graham crackers and icing. They used their observation and writing skills to describe what they observed. 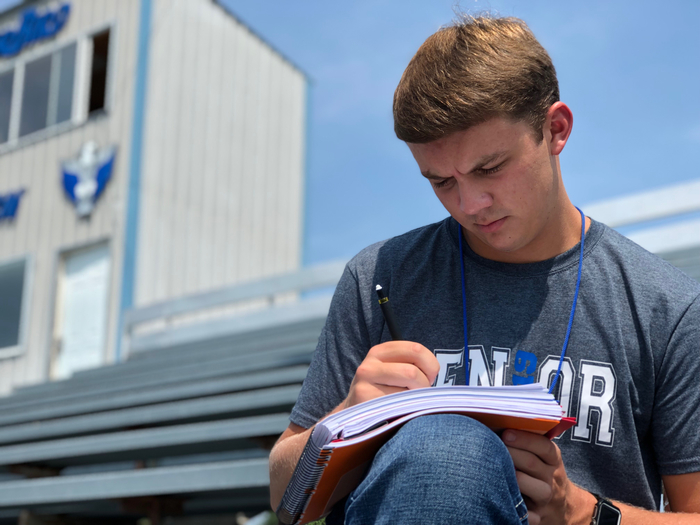 Cross County High School mailed progress reports home. If you do not receive one, give us a call. 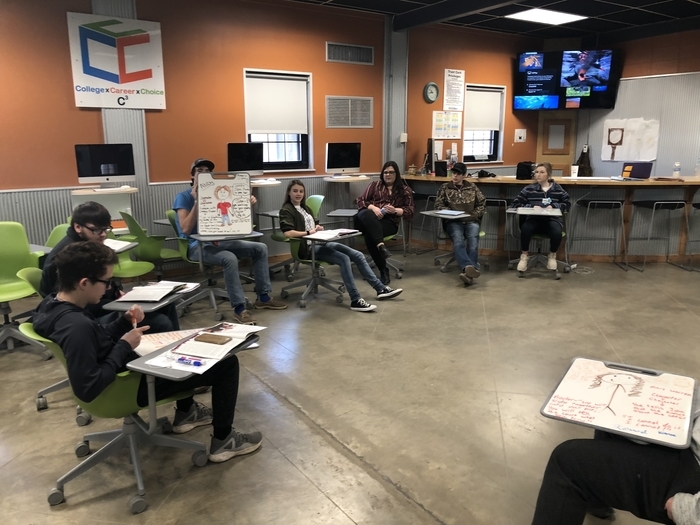 On Thursday, February 7th the University of Arkansas Cooperative Extension Service exhibit, Arkansas Farm to You, visited Cross County Elementary Technology Academy giving students a chance to explore the interactive, walk-through display from the farm and through the body! 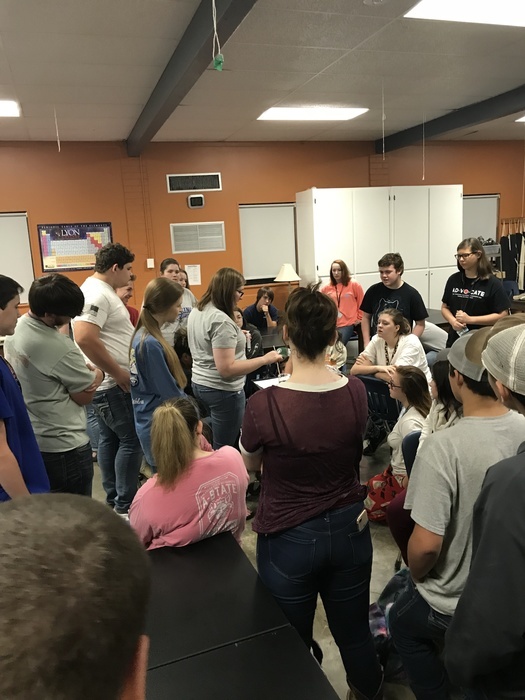 Students had the opportunity to learn about Arkansas foods and how their body uses those foods as fuel for being active. 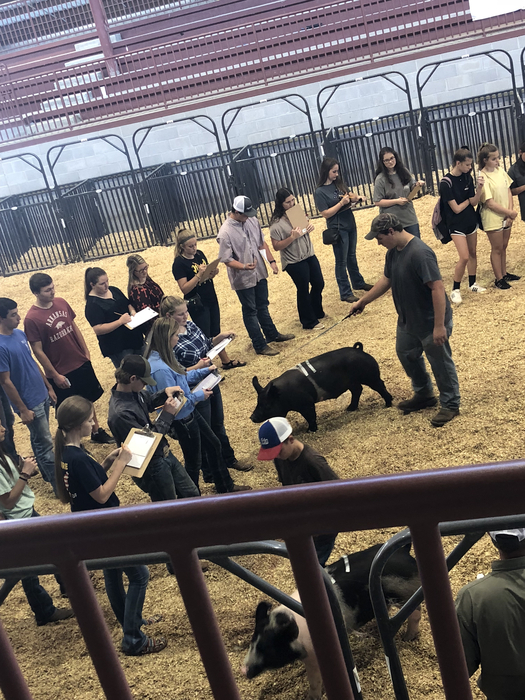 The exhibit consisted of 10 stations which make up the agricultural and health adventure, including: Farmer Dale’s Farm, Milk Processing Plant and Market, Café, Mouth, Stomach, Small Intestine, Muscle, Bone, and Skin. Due to extreme amounts of rain, the following buses will not run their typical routes this afternoon (February 11) or tomorrow morning (February 12): Brinda Jarrett’s Route- school bus will not drive CR 110 and 1170 Tony Busby’s Route- school bus will not drive CR 235 Debbie Anderson’s Route- school bus will not drive Futrell Loop or CR 225 William Baney’s Route- school bus will not drive CR 367 which may result in a 10-15 minute delay in drop-offs and pickups All school bus drivers will use extreme caution on routes and will not go down any road that is impassable or unsafe to drive on. In the event that a school bus driver arrives at an impassable road, we will do our best to contact the parent of the child affected. If we cannot contact the parent, the child will need to be picked up at the school at the conclusion of the route. Parents and students are encouraged to take caution on specific routes. Students have been specifically advised to consider alternate routes for Million Dollar Road. Please continue to follow our facebook page for more information. Updates will be sent out as soon as possible as we continue to monitor the amounts of rain and impact it has on our roadways. 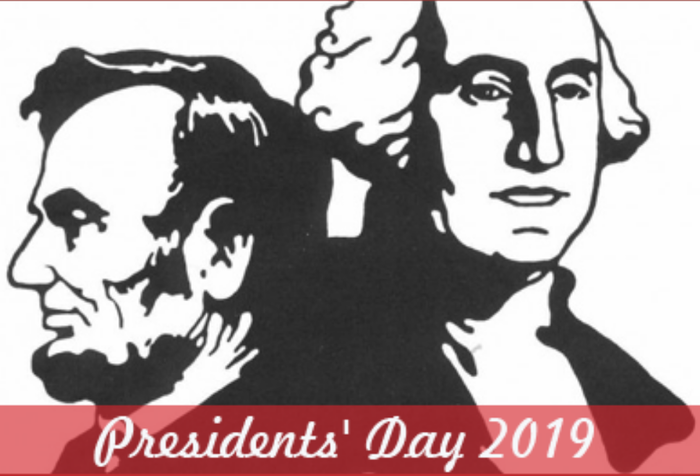 Parents and guardians, This is a reminder that Cross County Schools will be closed Friday, February 15, 2019 and Monday, February 18, 2019 in observance of Presidents' Day. 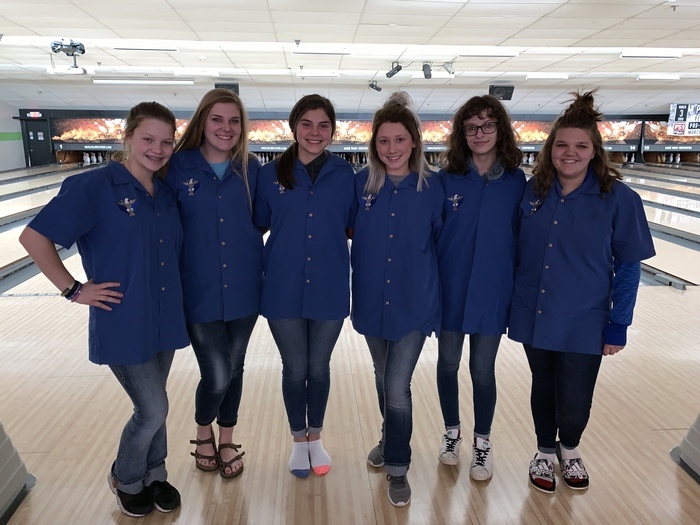 Please help us congratulate Cross County High School's bowling teams for a dynamic finish to a great season. 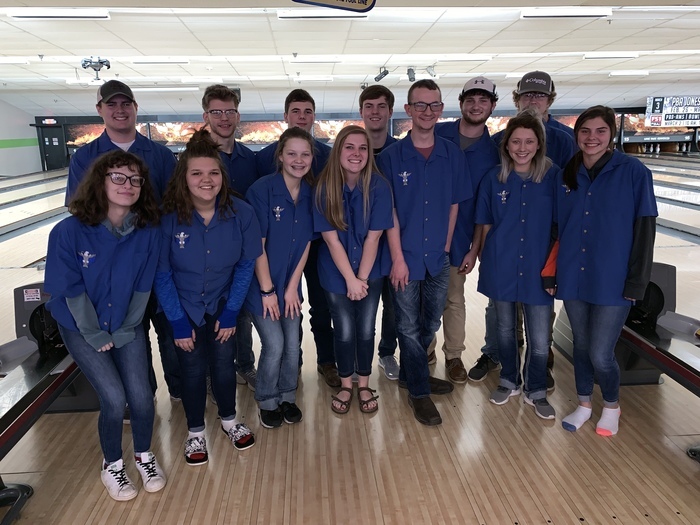 The boy's and girl's teams participated in the Conference Bowling Meet last week in Jonesboro. 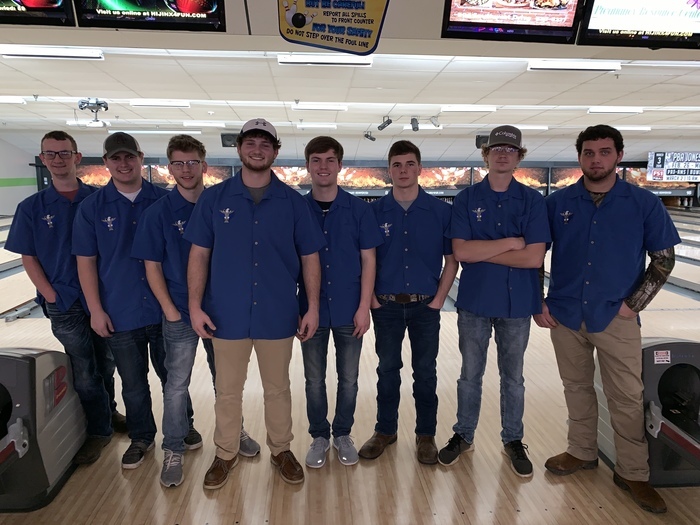 The boy's team finished 3rd of 10 teams and qualified for the State Bowling Tournament. Jackson Henderson finished 3rd of 70 bowlers and was named to the 1A-2A-3A East All Conference Team. 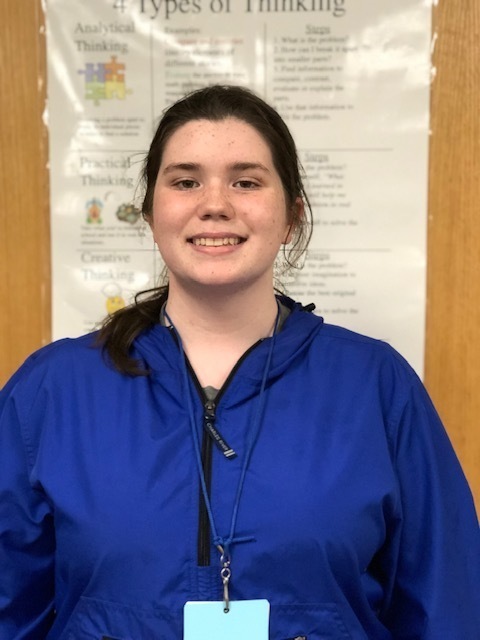 Special recognition goes to Riley Henderson for qualifying for the State Bowling Tournament for the girls as an individual bowler. The State Bowling meet will be held February 14, 2019 in Fort Smith. Help us wish them good luck! Senior Night activities will be at 5:45 tonight. Following that, we will play Augusta beginning with senior girls at 6:00. We hope to see you all there to help us support our Thunderbirds. Every week our teachers meet to learn how to implement academic strategies to help our students. 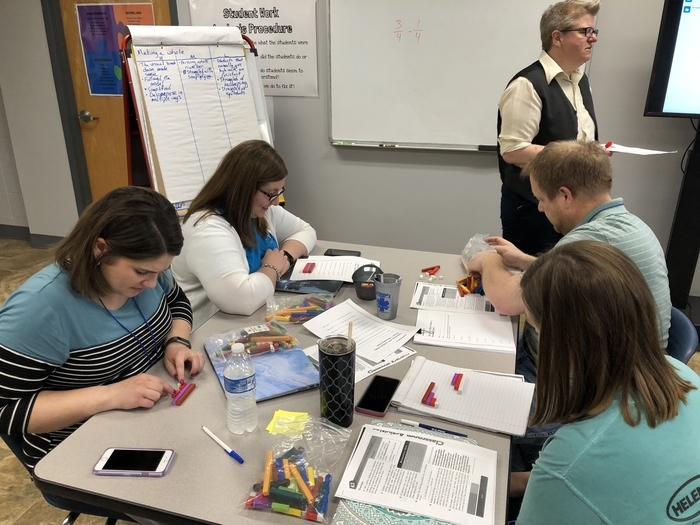 Our math and science teachers are learning strategies to help students understand fractions better. Today, they worked on how to help students understand how to subtract fractions and why it is important for students to be able to do this. 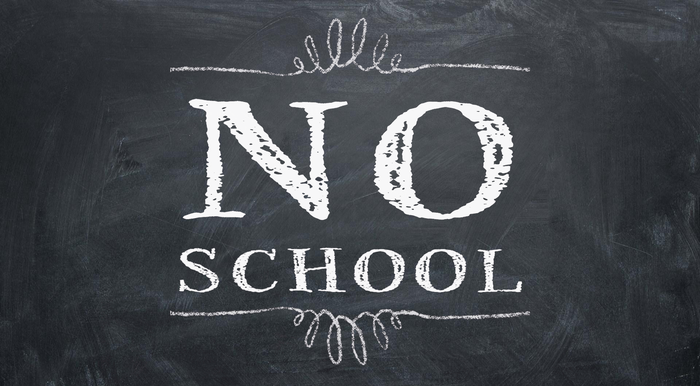 Due to water line issues, there will be no school for the Cross County School District tomorrow, January 31st. We will utilize AMI Day 2 for this closure. We will evaluate and make a decision as soon as possible about hosting tomorrow evening’s basketball games. Cross County School District will be dismissing at 2:30 PM today, January 30 due to a cut in the main water line. Buses will leave at 2:30 and run their normal routes. 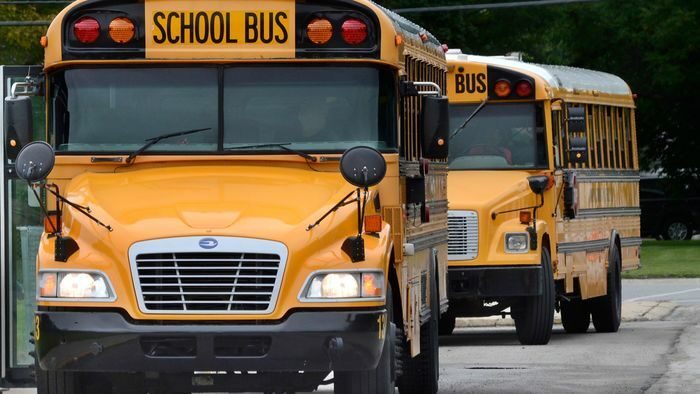 Parents should expect students at bus stops 1 hour earlier than normal. Please contact the school if you have alternate transportation for your child. The district will post when water is restored and inform you of any potential school closings. Senior Night is Thursday. Festivities will begin at 5:45. 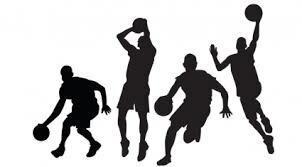 There will be only two games, senior girls and boys with a 6:00 start time. 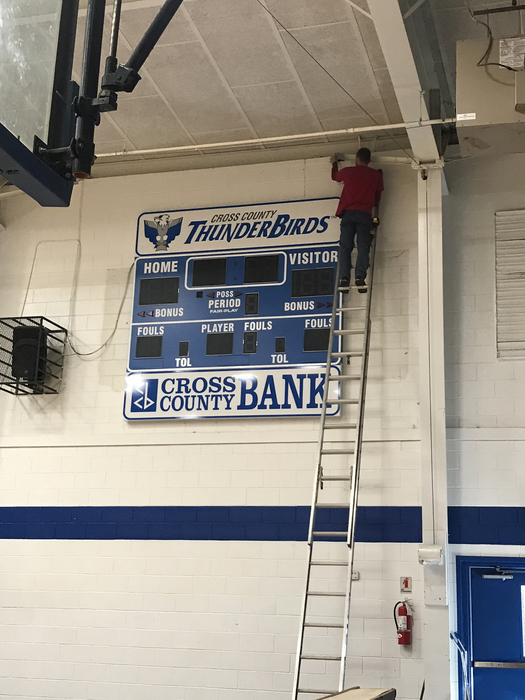 New scoreboards were hung yesterday in the gym. Thank you to Cross County Bank for your continued support of our district. 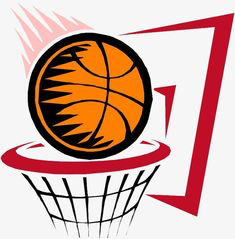 Reminder: Hoopfest is Friday, January 25, 2019. Join us as we go up against the McCrory Jaguars. Dress up days for both campuses are: Tuesday: Pajama Day Wednesday: Red, White and Blue Day Thursday: Camo Day Friday: Spirit Day We look forward to seeing everyone there! 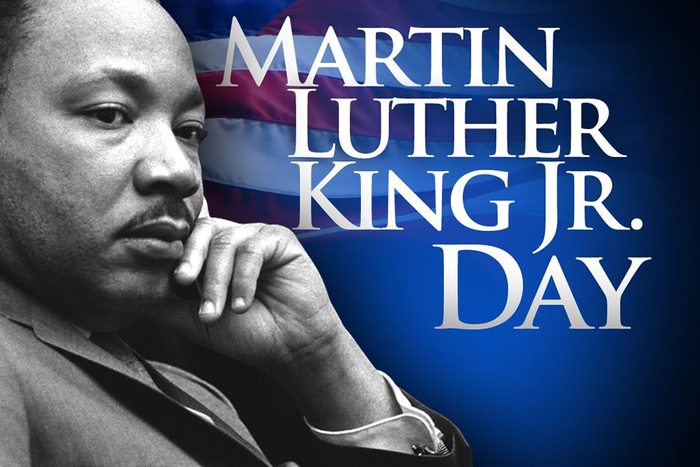 Cross County School District will be closed Monday, January 21, 2019 in observance of Dr. Martin Luther King, Jr. Day. 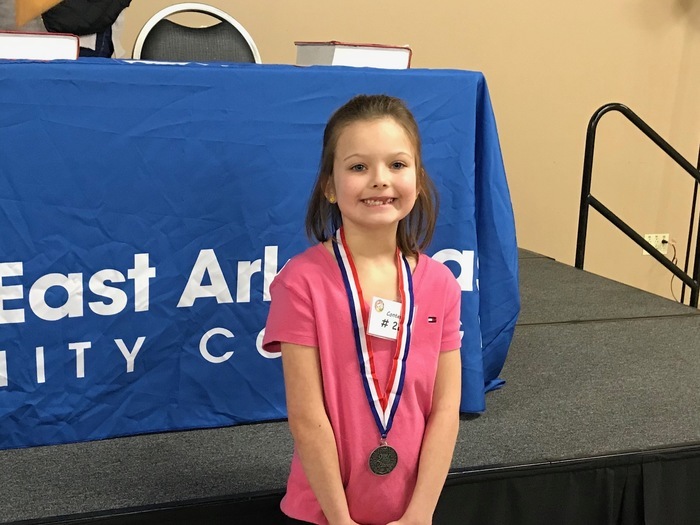 We are so proud of second grader Makayla Kellum who placed second overall at the Cross County Spelling Bee this morning. Way to go Makayla! We celebrated the 101st day of school with a 101 Dalmatian themed day. Our kids learned all about the number 101 and looked pretty cute in the process! Tonight’s game against Marked Tree will be at Cross County. Games begin at 6:00. Jr. 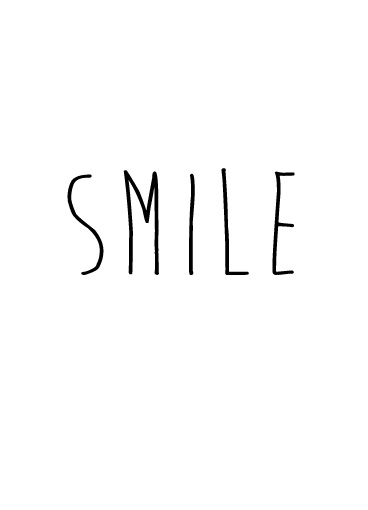 Boys, Sr. Girls and Sr. Boys will play at Augusta tonight starting at 5:00. 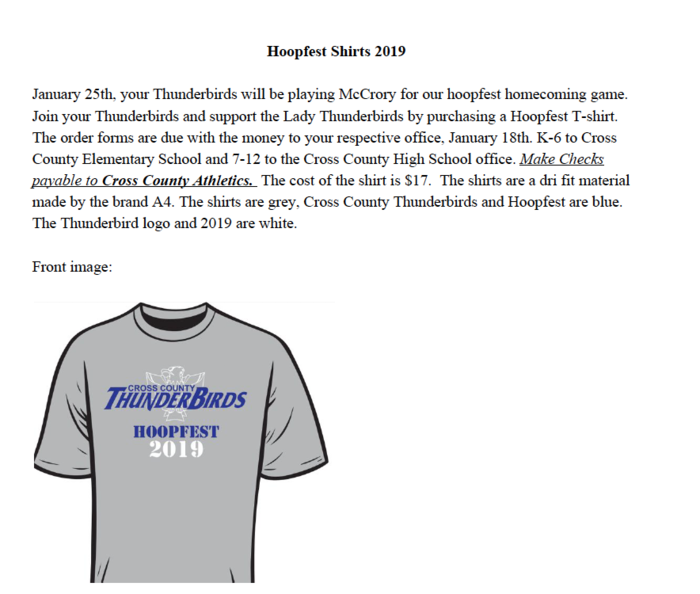 Cross County High School is hosting our annual Hoopfest January 25, 2019. We invite Cross County Elementary students to join us for a night of great basketball and fun! Please contact Coach French for more details or questions. Get your Hoopfest t-shirts! 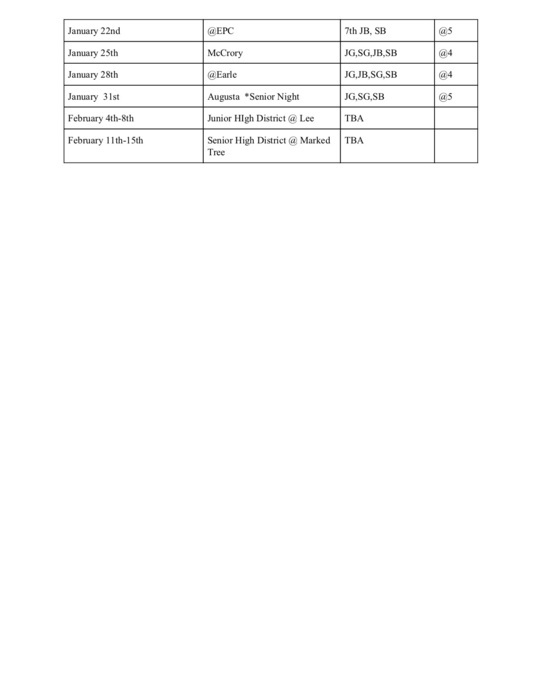 Orders are due January 18, 2019. 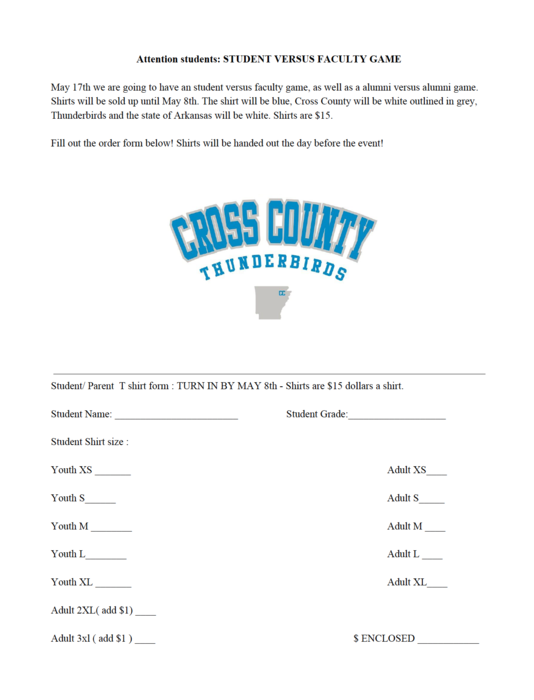 Order forms can be found in each school's office. 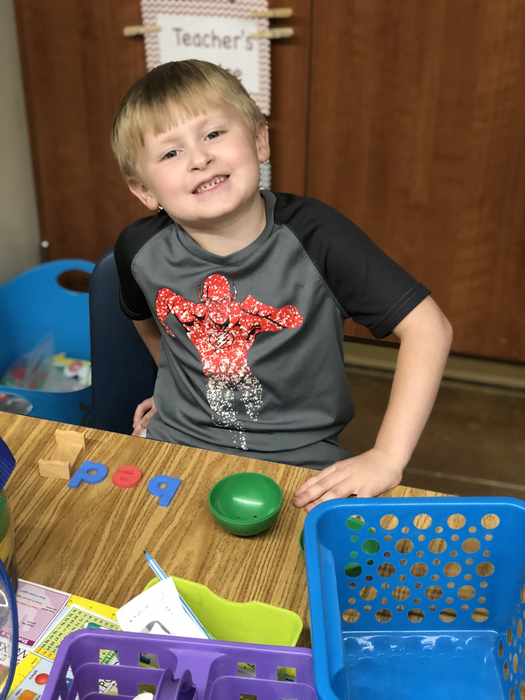 Our first week back at CCETA has gotten off to a great start! We are excited to kick off a new semester with goals to help us make 2019 the best year yet! Thursday’s game this week has been moved to Friday. All four teams will play at home Friday starting at 4:00. A new semester at CCHS has begun. That means math homework, essays, novel studies, and projects begin again. If a little extra help is needed, take advantage of the learning center or after-school tutoring. The learning center is open daily during advisory and has tutors to help with math, English, science, and history. 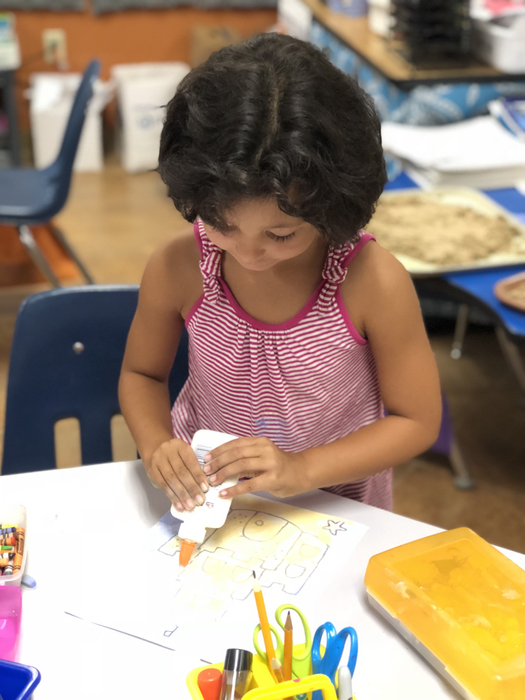 After-school tutoring is offered, free of charge, four days a week (transportation not provided). Mr. Rolland is available Mondays and Wednesdays 3:30-5 to help with those tough math problems and science work. 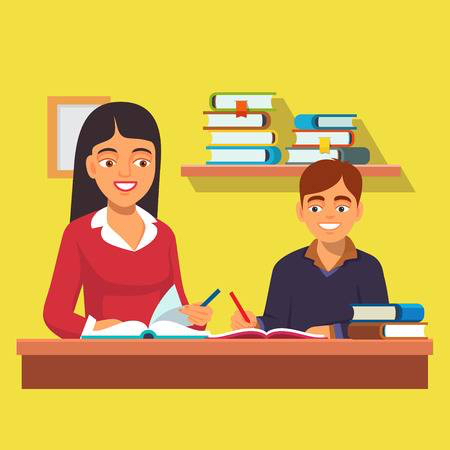 Mrs. Fisher stays Tuesdays and Thursdays 3:30-5 to help fine-tune those essays and any other help in English and History class. For more information or questions, please contact Mr. Prince, Mr. Rolland, or Mrs. Fisher at 870-588-3337. 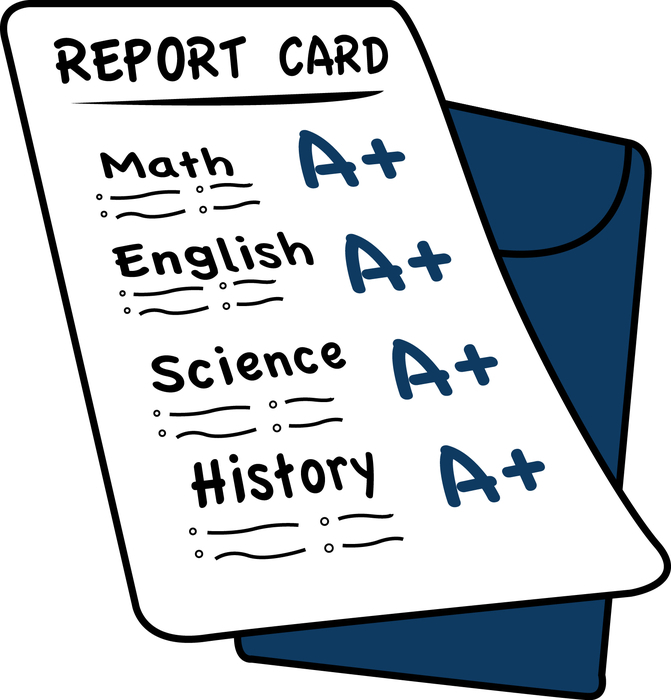 CCHS mailed first semester grades home. Please let us know if you do not receive one. Join us tonight in McCrory as the Thunderbirds take on the Jaguars. All four teams will play beginning at 4:00 pm today. 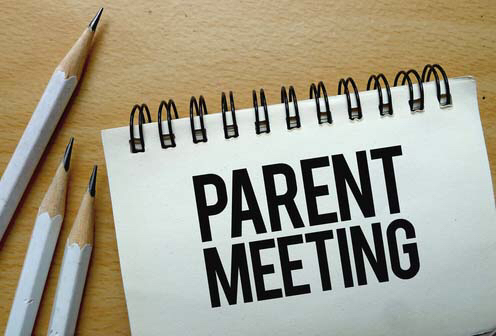 Parents: There will be a Trap Team meeting Thursday, January 10th at 6:00 pm at the Cherry Valley Fire Department. Anyone in grades 6-12 interested in participating must attend the meeting. Bring your hunter education cards with you. There will be a class in March or April for those who have not taken the course. Cross County School District will dismiss at 1:30 on Friday, December 21. Cross County High School is hiring an interim instructional one-on-one aide. Applicants must be personal care certified or willing to obtain this certification as part of the required job duties. Applicants must also be able to pass a background check and clear a child maltreatment registry check. Minor lifting is required. For more information, please contact Stephen Prince with Cross County High School at ‪870-588-3337‬. Applications may be completed in person or found at www.crosscountyschools.com. 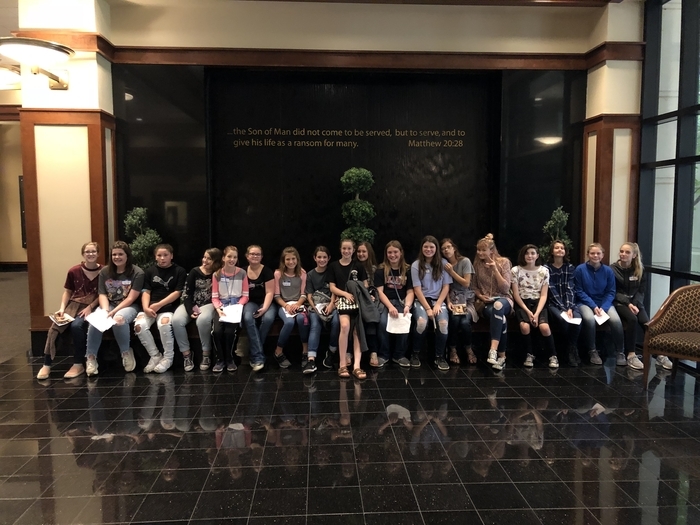 Cross County seniors applied and were accepted to participate in “A Day in the Life of Nurses” at UAMS northeast in Jonesboro. 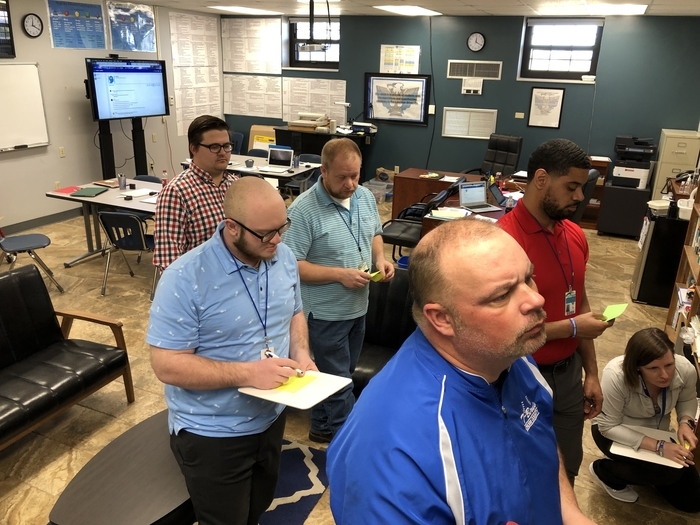 They listened to several professionals, including an ER nurse, nurse practitioner, and nurse anesthetist, speak about a day in their life and took a tour of St. Bernard’s. They also learned how to draw blood, give injections, take blood pressure and even got to wear a pregnant belly! It was a great day full of experiencing and exploring future career paths! 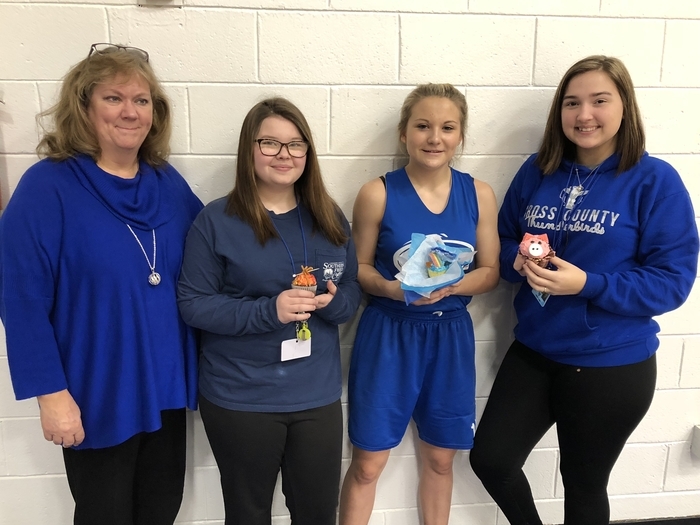 Cross County High School had another successful blood drive. Giving blood is a life-saving activity that many of our students understand the need for. This round, Cross County students gave a total of 26 donations! We are well on our way to securing scholarships for our students. We only need a minimum of 15 more units donated at the next drive to receive scholarships. Please help us thank our students for donating. 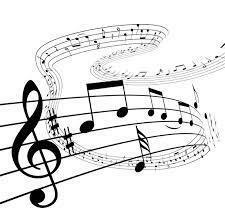 Please join us Monday, December 10, 2018 for Cross County High School's annual band and choir concert. The concert will begin at 5:30 in the high school cafeteria. 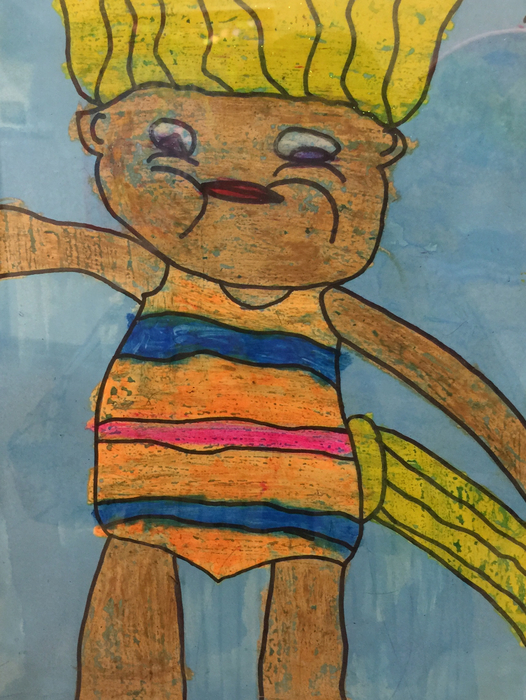 Congratulations to our November Student Artists of the Month, Aubrey and Jake! Mr. Jerry’s bus is running late this morning. Thank you for being patient with us and supporting Cross County Schools. 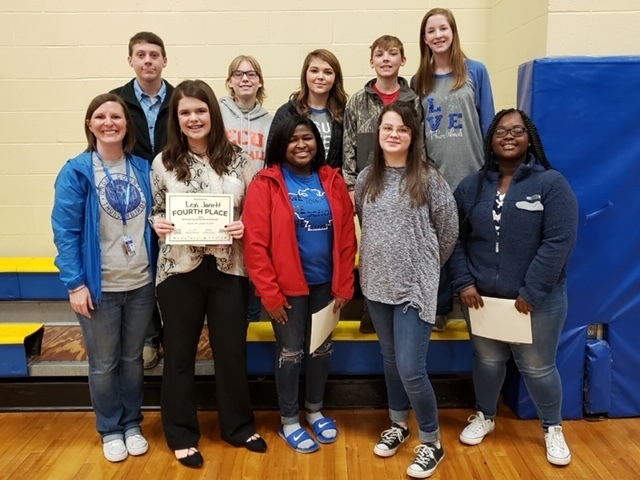 Under the guidance and leadership of our FFA sponsor, Mrs. Long, Cross County FFA is State Bound in April! 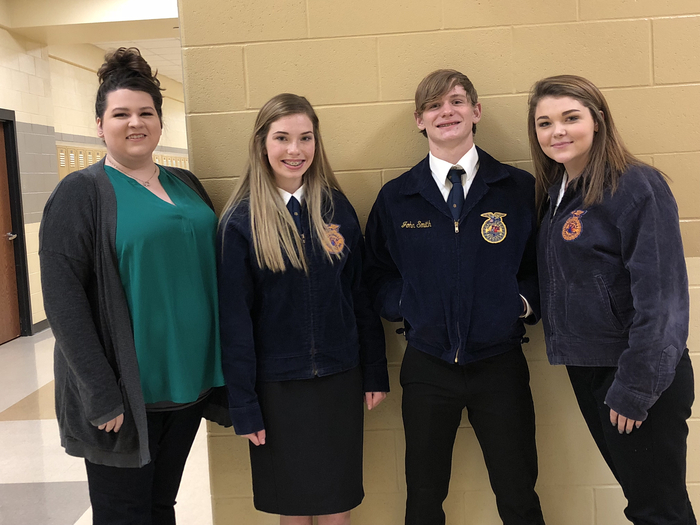 Lily Bowles placed 2nd in Extemporaneous Speaking, Sam Hagler placed 3rd in Prepared, and Landon Martin placed 4th in Discussion Meet at our Sub Area Competition in Trumann. 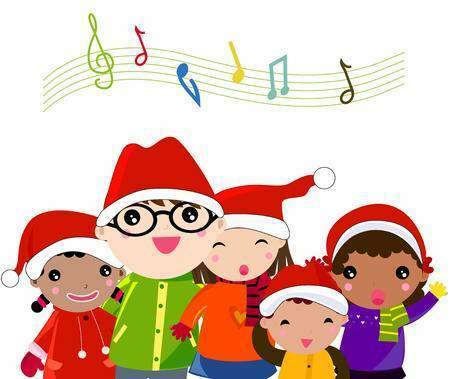 Don't forget that the music program will be tonight at 6:00 pm. Please have students here by 5:45. 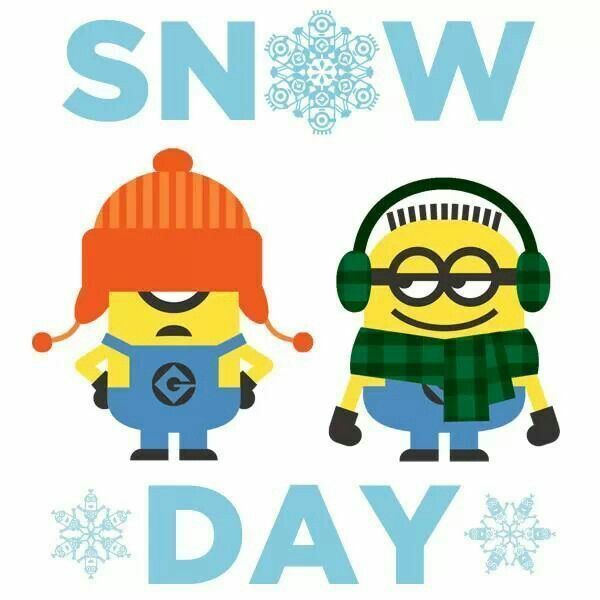 Due to inclement weather and unsafe road conditions, Cross County Schools will be closed, Thursday, November 15, 2018. Students will complete Day One AMI packets. 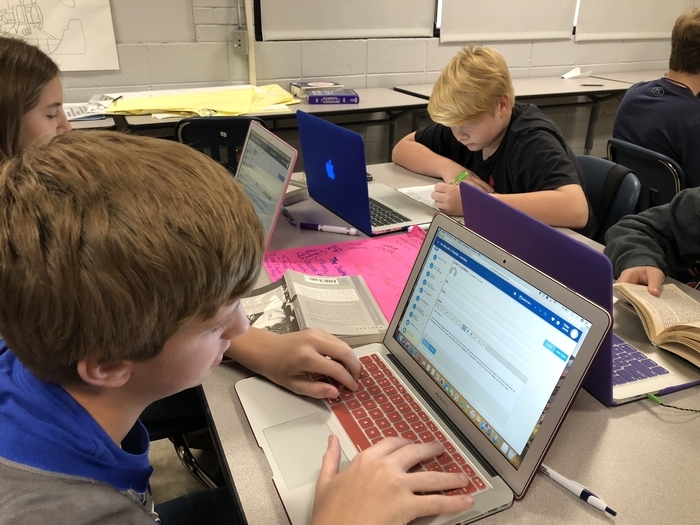 High school students will complete work for all classes. 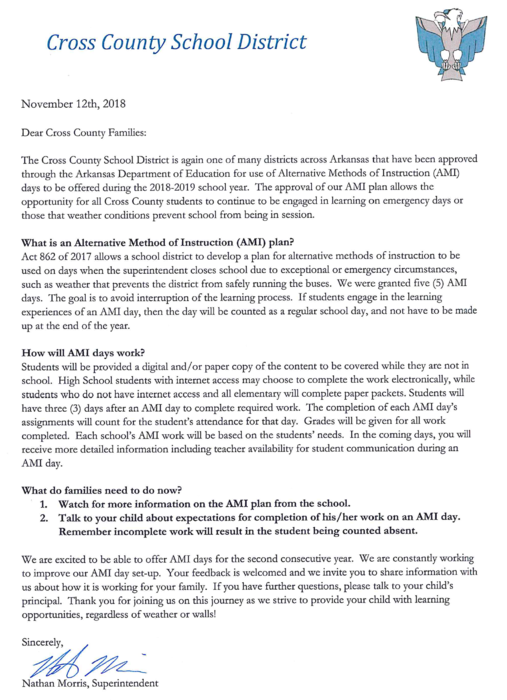 Please refer to the AMI letter posted on our Facebook page for additional information about AMI days. Internet is not required to complete any of the work and teachers will be available via email to answer questions. 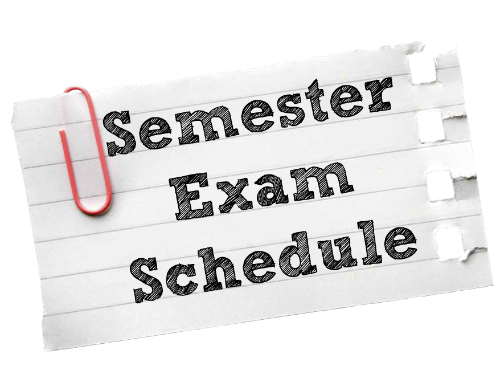 We look forward to getting back in school Friday for a strong finish before the Thanksgiving Break. 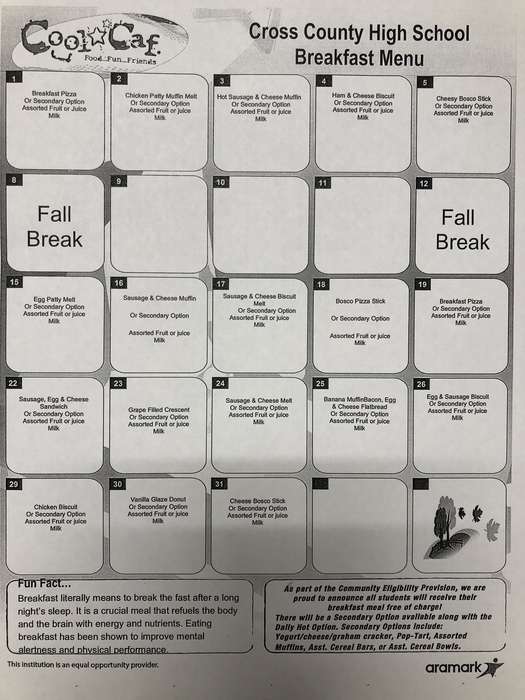 Correction: The date for early dismissal is November 14, 2018. We apologize for the error and thank you for always supporting Cross County Schools. 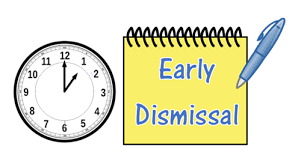 Cross County Schools will dismiss at 1:00 today, November 1, due to winter weather. Please contact the school if you have alternate transportation for your child. 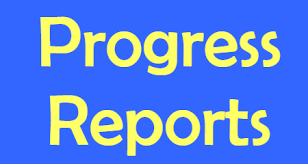 Cross County High School mailed progress reports home today. Be on the look out for those in the mail. If you do not receive one, give us a call. 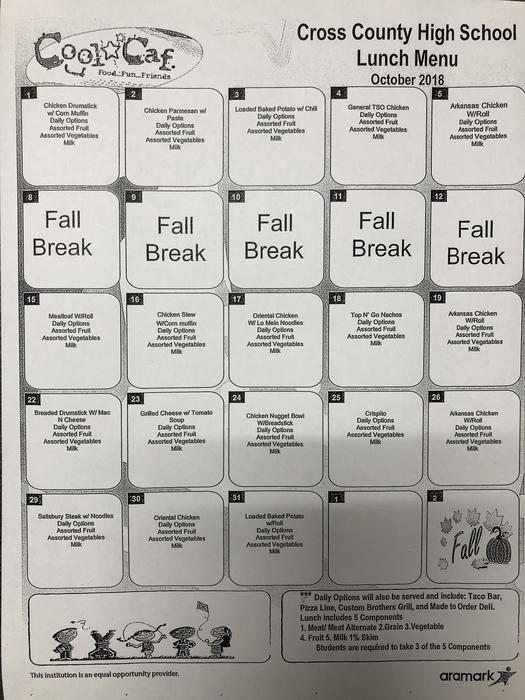 Cross County High School sent home AMI packets today. A file was placed on each student computer desktop and paper copies were sent home for those without a computer. Absent students will get their packet tomorrow. Call us at 8705883337 if you have questions. 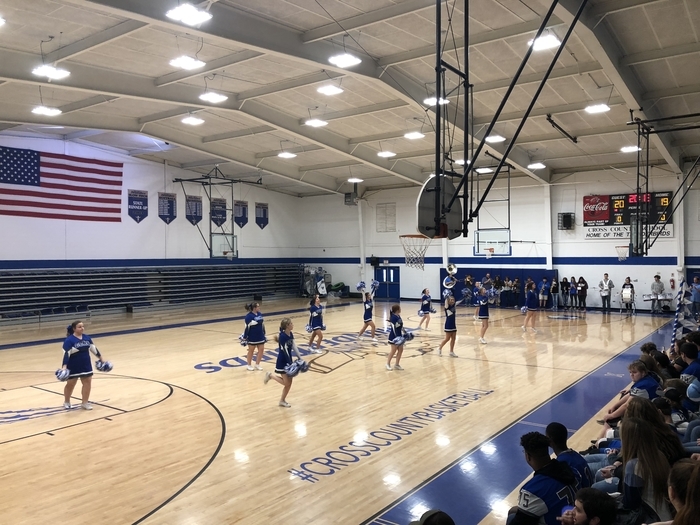 Cross County is kicking off basketball season tonight with a benefit game against Cedar Ridge. 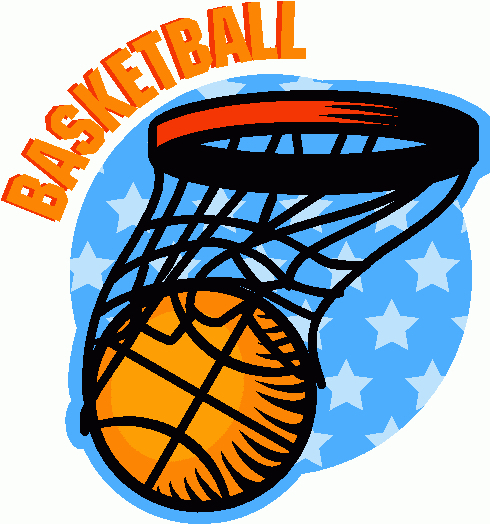 The game will start at 5:30 with 7th grade girls and follow with jr. girls and sr. girls. Admission for all will be $5.00 since this is a AAA sanctioned benefit game. Cross County High School and Elementary School will host a Parent Engagement Night Thursday, November 8th beginning at 5:30 in the high school cafeteria. We look forward to seeing you there and there will be door prizes! Daylight Savings Time ends this weekend. 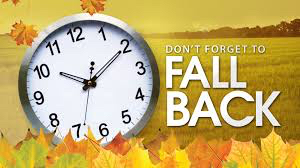 Turn your clocks back one hour November 4. 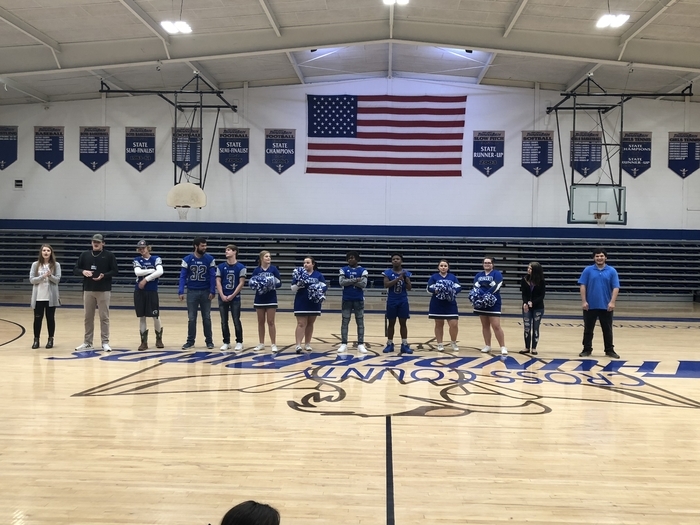 CCHS honored the senior football players, cheerleaders, band members, and water girls at today’s pep rally. Remember to come out tonight for the Senior Night festivities at 6:15 and join us as we go up against Salem at 7:00. 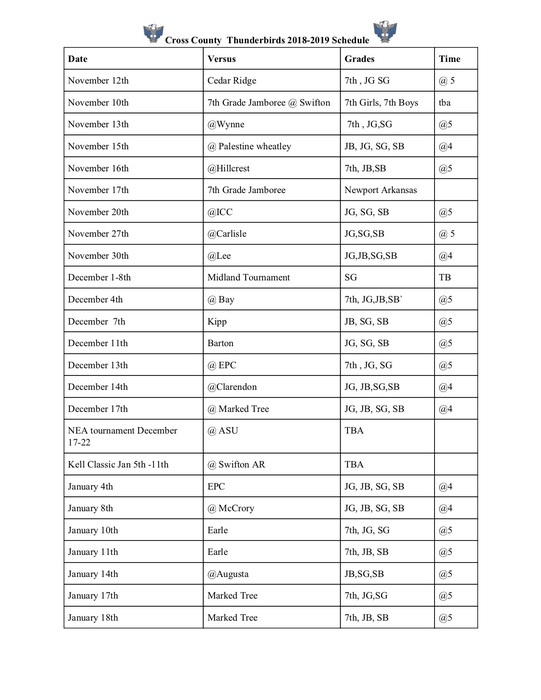 Please take a look at the revised 2018-2019 Thunderbird basketball schedule. Tomorrow night is Cross County’s Senior Night. We will honor our senior athletes, band members, and cheerleaders at 6:15 in Thunderbird Stadium. We hope to see everyone there. Remember: kick off for senior high football is at 7:00. 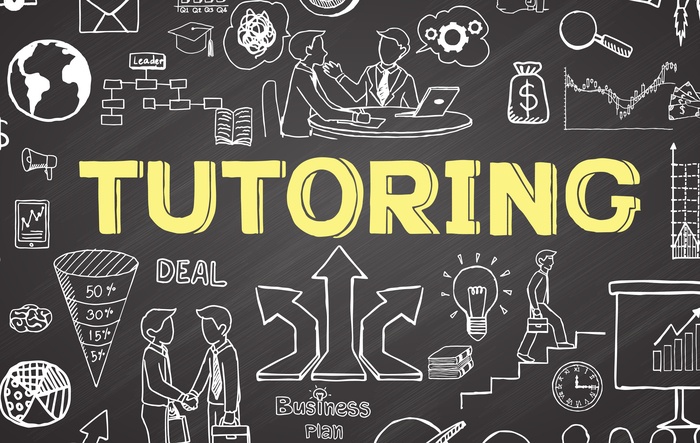 CCHS will begin offering after-school tutoring next week from 3:30-5:30. Mr. Rolland will be here on Mondays and Wednesdays for Math, while Mrs. Fisher will be here Tuesdays and Thursdays for English. Please give us a call if you have any questions. 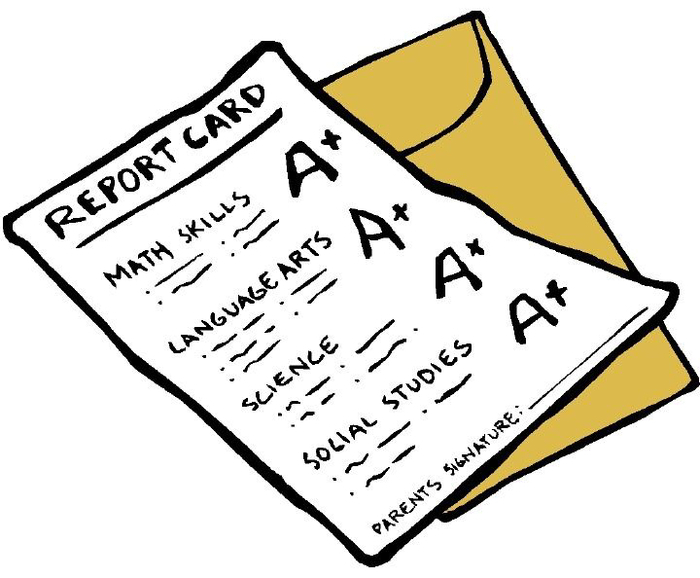 CCHS will be mailing out 9 week progress reports tomorrow. Give us a call if you don’t get one in the next few days. 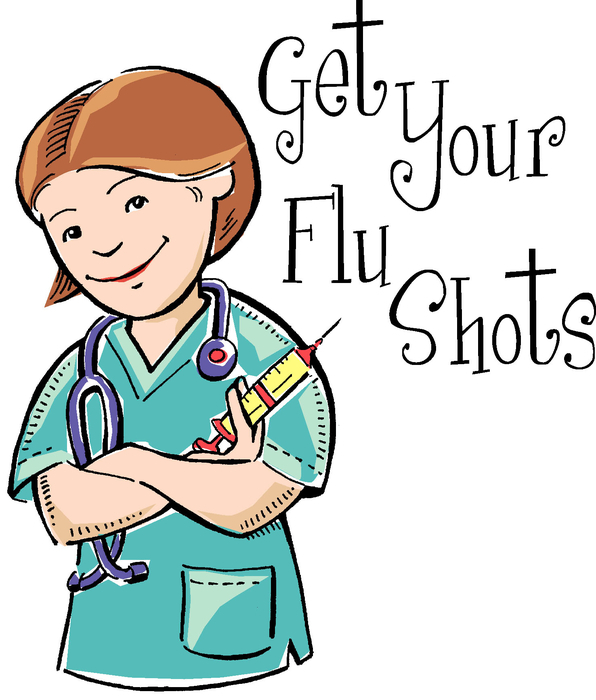 Cross County will host a flu clinic Wednesday, October 17th. Forms were sent home. Please contact the school with questions. 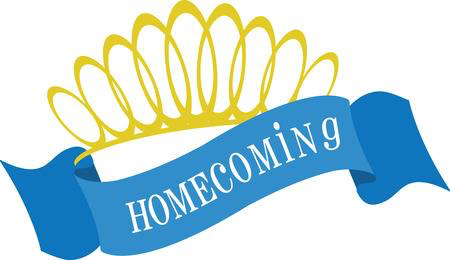 Homecoming festivities start at 6:00 tonight at Thunderbird Stadium. Kick off is at 7:00. Come out and support the Thunderbirds! Come out and support the junior high Thunderbirds tonight at McCrory and tomorrow night for homecoming! 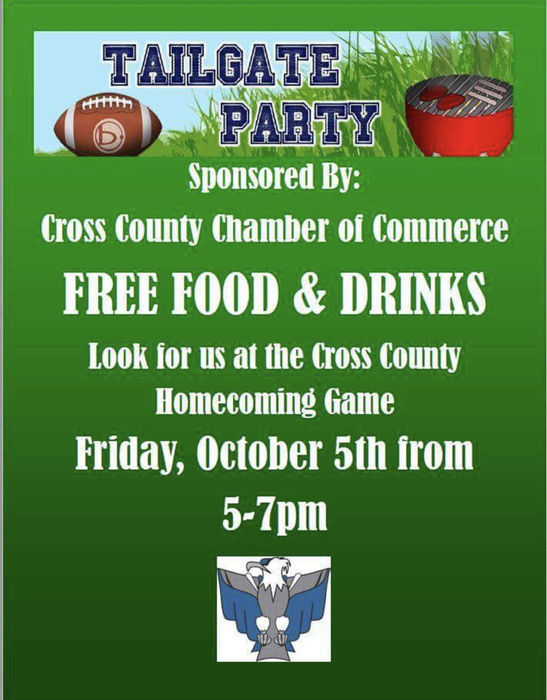 The Chamber will be hosting a tailgate Friday night. As part of our Go Jim Go fundraiser, the high school collected money to dunk a teacher at Cherry Fest. Mrs. Fisher has always supported Cross County Schools. 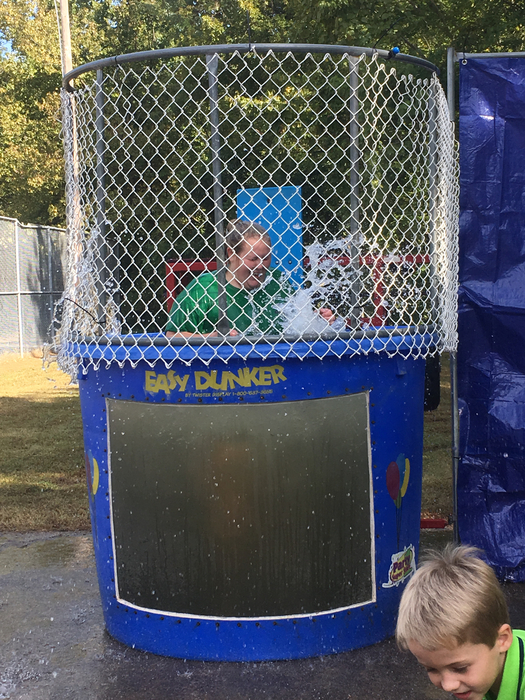 As a great English teacher and CC alum, she was a good sport as students dunked her. 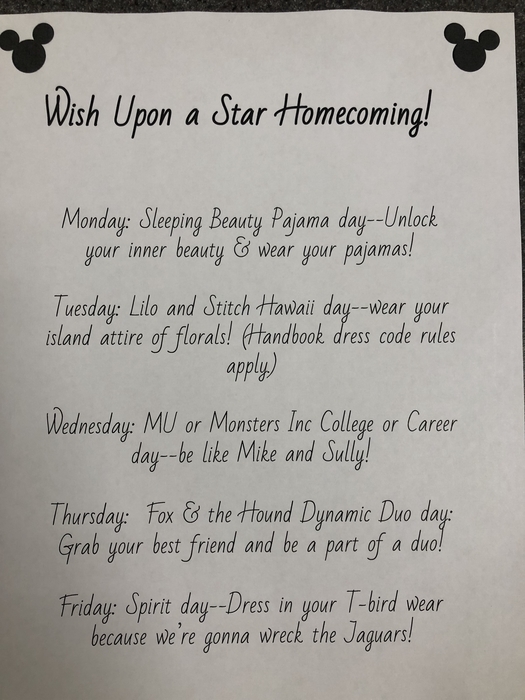 Next week is Homecoming! Join us October 5th to cheer on the Thunderbirds as we go up against the McCrory Jaguars. Thank you everyone who took the time to donate blood to Life Blood. A total of 23 units was donated and a special thank you to Mrs. Fisher for organizing this life saving event! 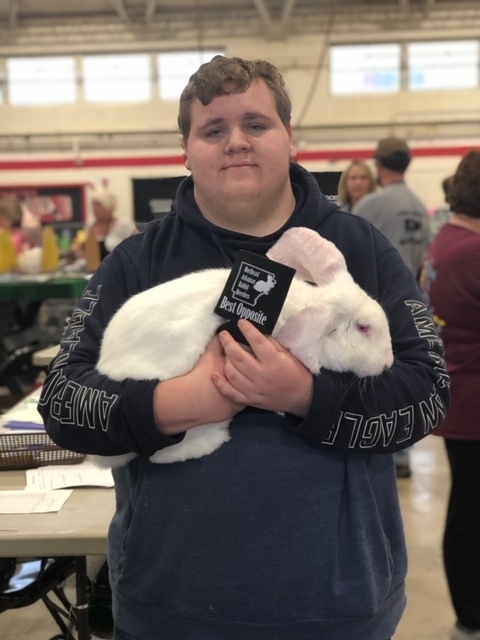 Congrats to Trace Davis for being awarded first in his class, champion lop, and Best of Show rabbit at the Three County Fair!! Mr. Rolland taught his math class how to solve equations today. 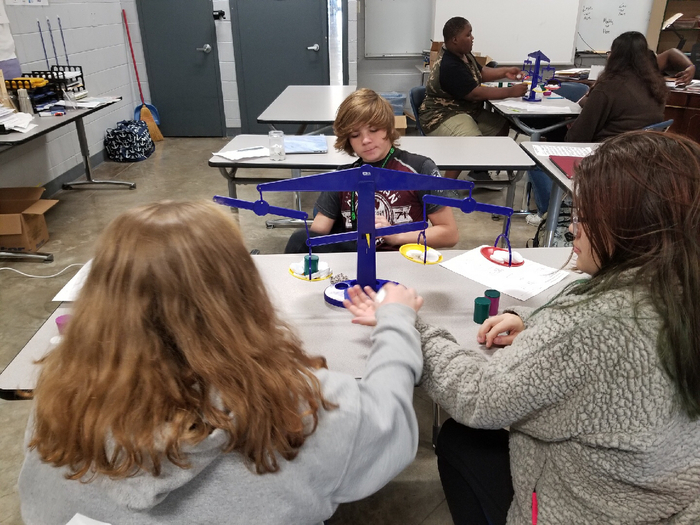 They used balancing scales to help them understand the concept. 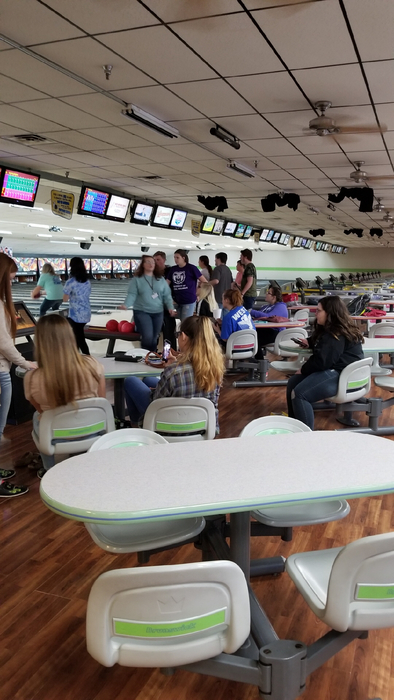 Many students from the high school enjoyed a day of bowling and fun at Hijinx in Jonesboro as a reward for their academic excellence. 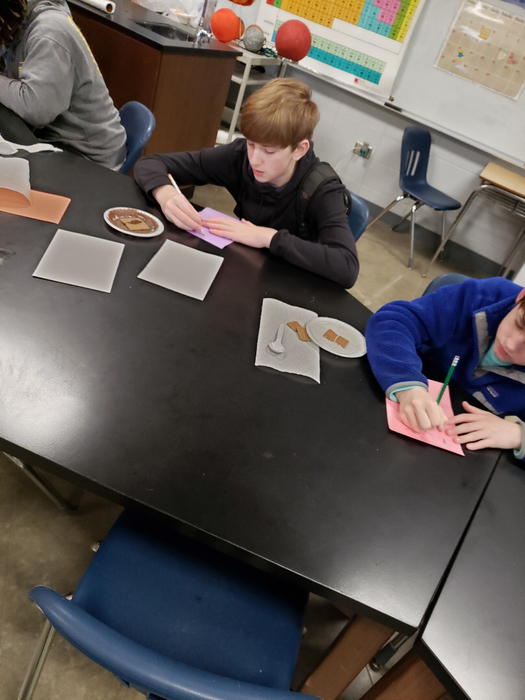 Check out Mrs. Williams modeling a photosynthesis lab to her 10th grade students! A big thank you to Caldwell Pharmacy for helping our students get supplies for this awesome lab! 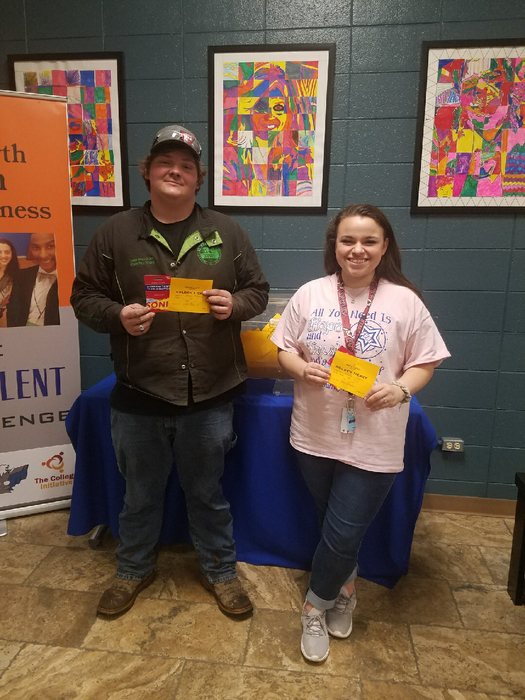 EAST students Drew and Lacie visited 7 local businesses and spoke with managers, employees, and owners and even picked up a few donations today! 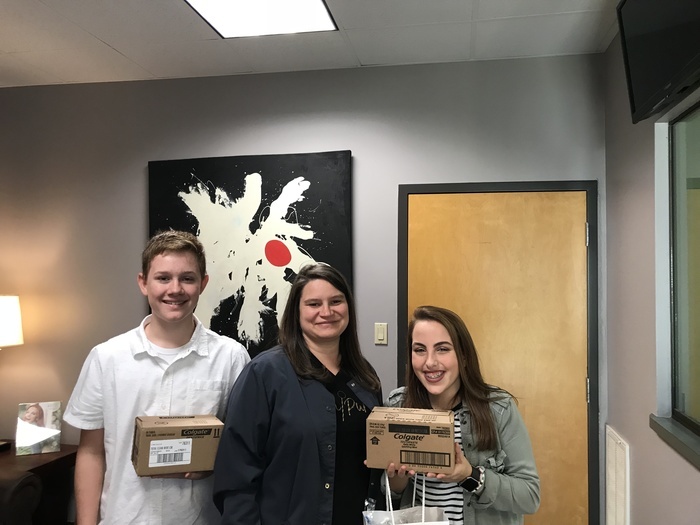 Thank you Sutton Puryear Family Dentistry for donating toothbrushes and toothpaste to help get this project off the ground! Don’t forget that tomorrow is picture day at the elementary! We sent a message this afternoon through our new messaging system to all elementary parents. If you did not get a text or call, please call the office. 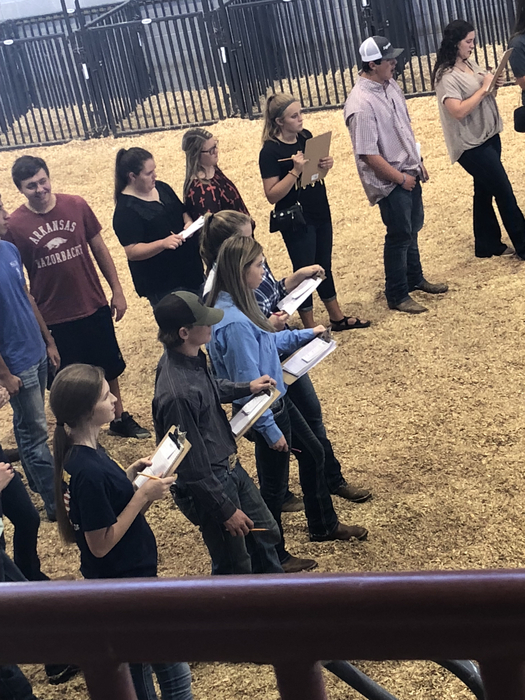 Our Ag teacher, Mrs. Long, took students to the NEA District Fair to participate in livestock judging. 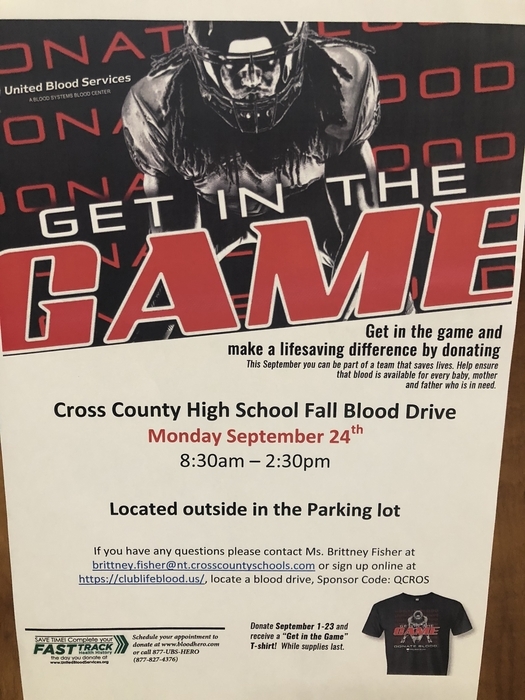 Cross County High School will host our annual Life Blood drive, Monday, September 24. Our donations go towards scholarships for seniors. 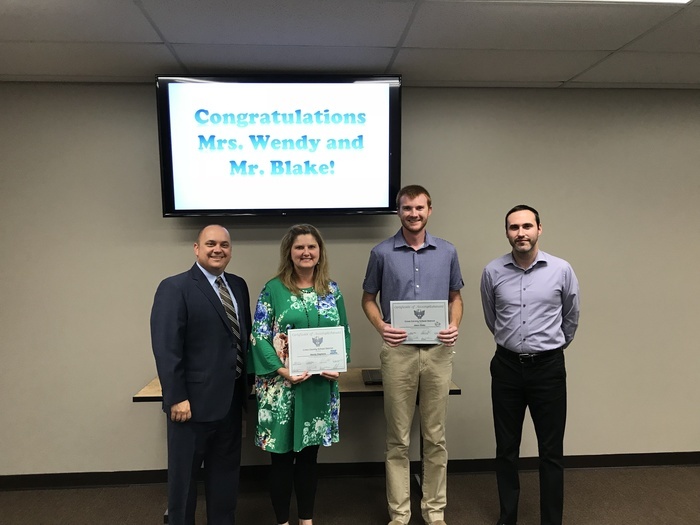 Mrs. Wendy Stephens and Mr. Jason Blake were honored last night as the September Staff Member and Teacher of the Month! 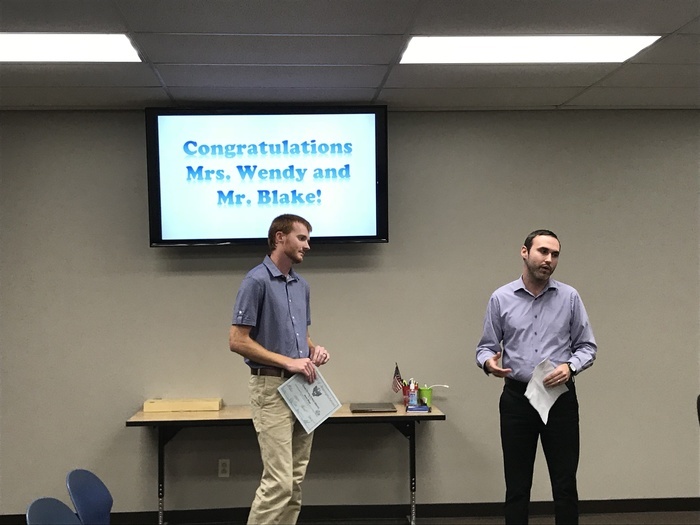 ​Congratulations- our school would not be the same with you both! 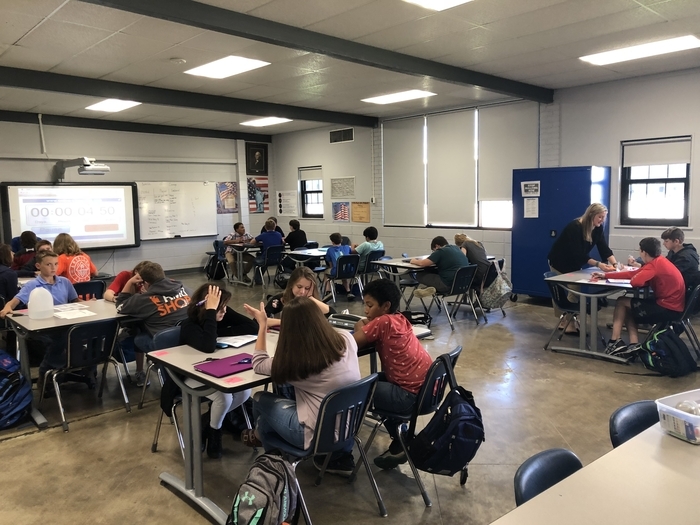 Coach French’s 7th grade Social Studies class celebrated Constitution Day with a lesson on The Bill of Rights and the Preamble. 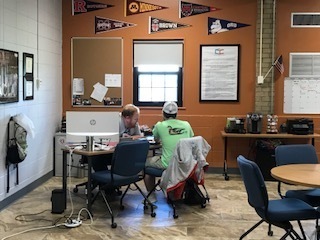 Did you know we are one of the only schools in the area where every single senior meets one-on-one with a college access advisor? Our kids are college and career bound! The Junior High Thunderbirds played a great game tonight against the Salem Greyhounds. Final score: Thunderbirds-28, Greyhounds-12. 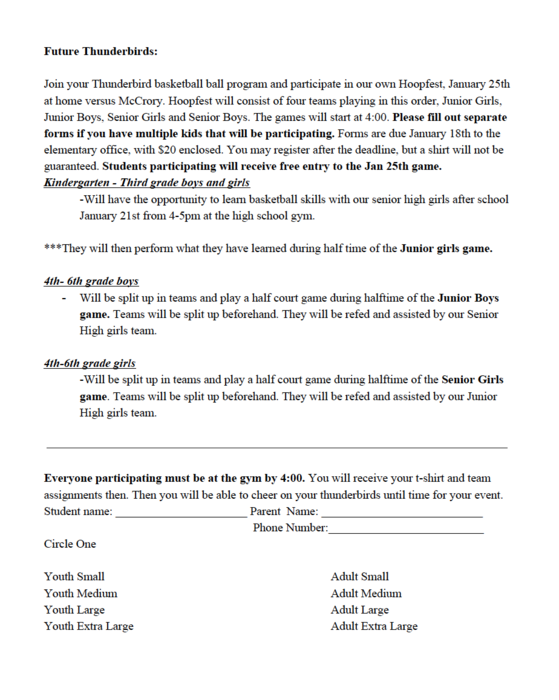 Join us at Marked Tree next week to support the Junior High Thunderbirds. We hope to see you there! 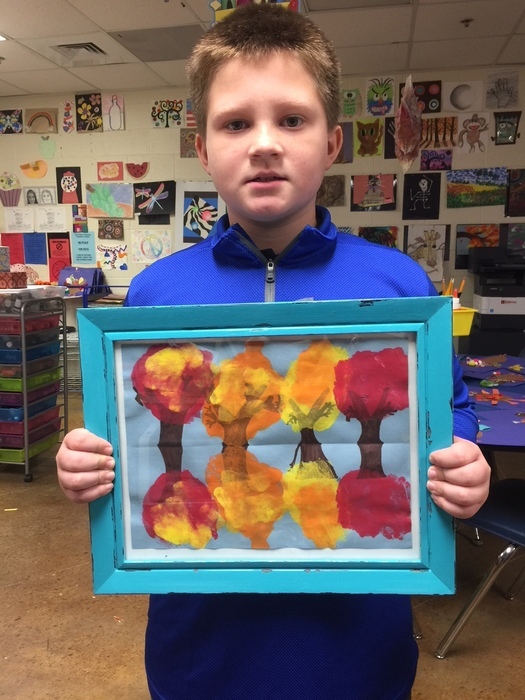 Congratulations to Jake, our 4-6 artist of the month! 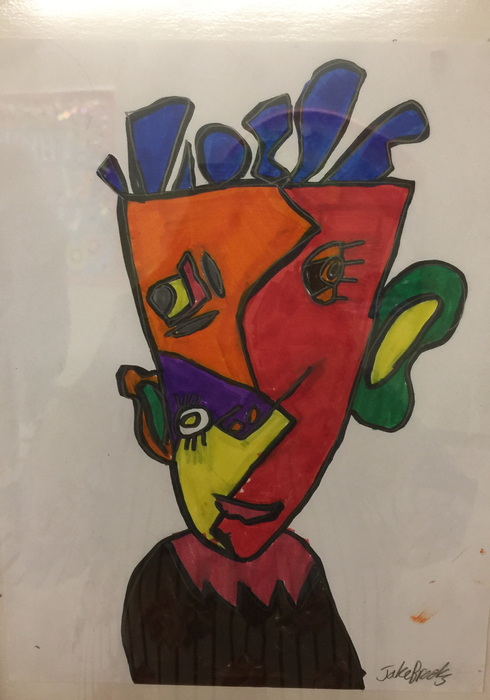 Check out his Picasso inspired portrait! BIG NEWS! 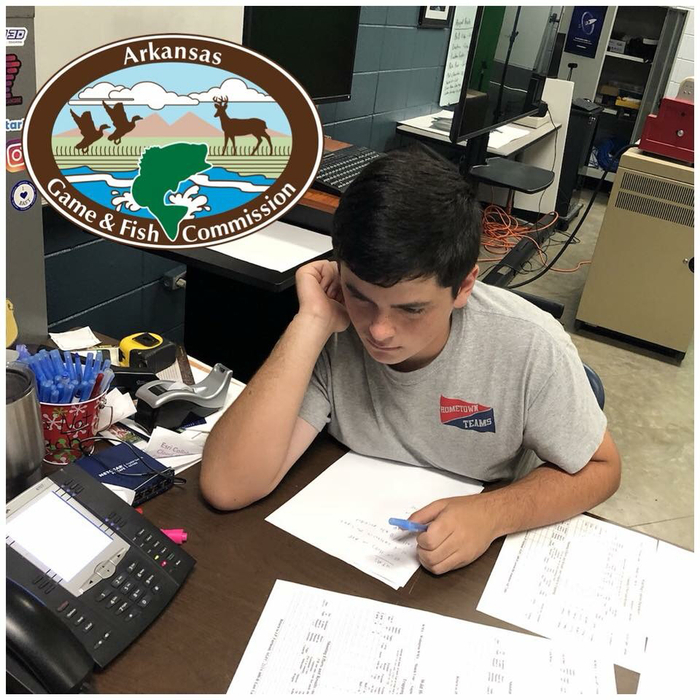 Will Searcy spoke with a conservationist from the Arkansas Game and Fish Commission today to discuss his project about mapping data to monitor the growth of the wild hog population in Arkansas. He will be using ARCgis to create heat maps from the data they provide. 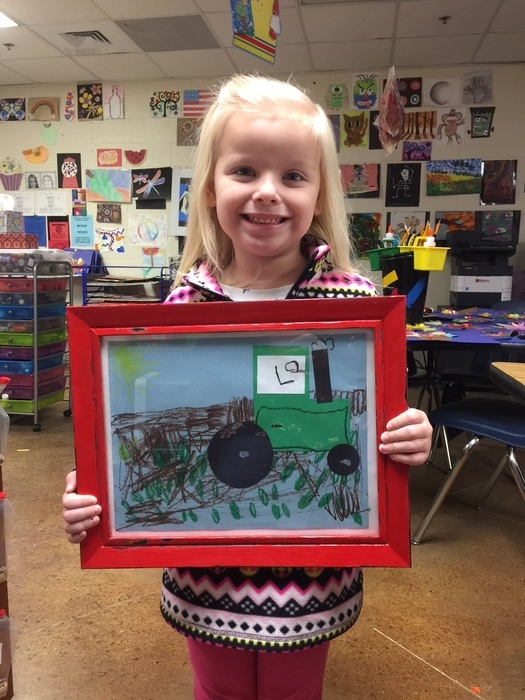 Congratulations to our K-3 artist of the month, Addie! We have such talented students! 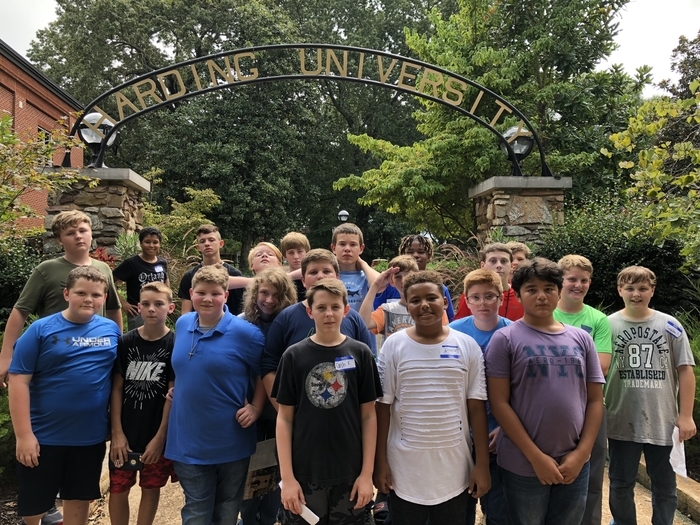 Our 7th grade students had a blast at Harding University. 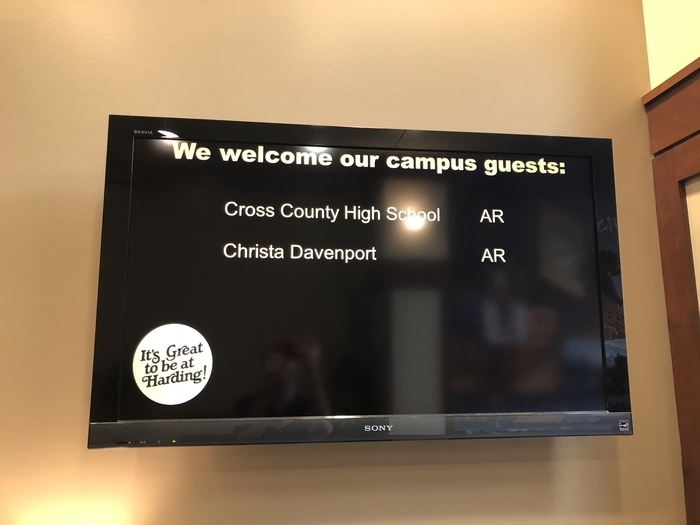 Harding and its students were very welcoming. They allowed us to tour campus and provided our students with lunch. We even had time for a campus scavenger hunt! 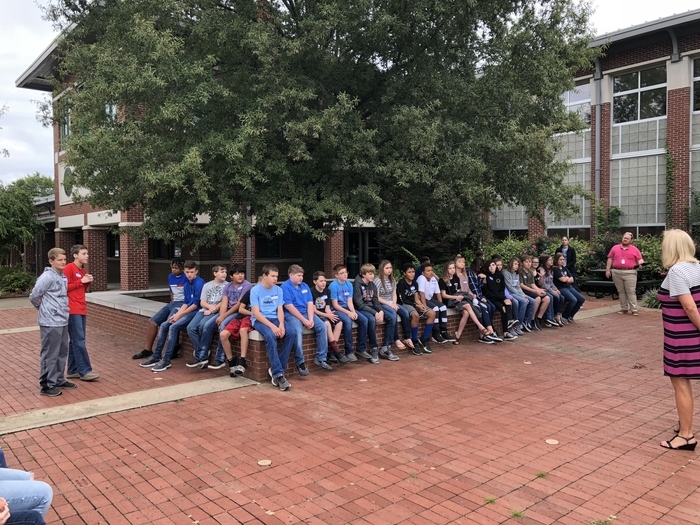 ASU-Beebe hosted an awesome tour of campus for our 7th grade students! 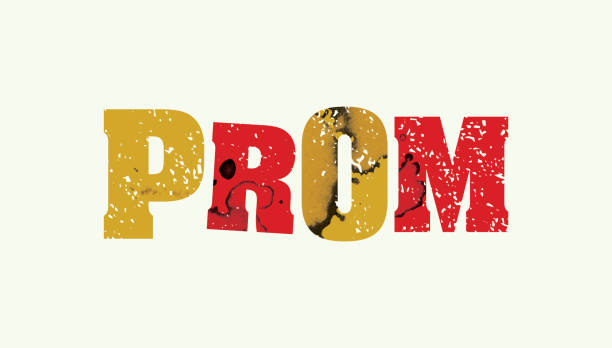 Parents and guardians, There will be an 11th grade parent meeting to discuss prom and fundraising Wednesday, September 12th at 5:30 pm in room 1 in the high school. We look forward to seeing you there! 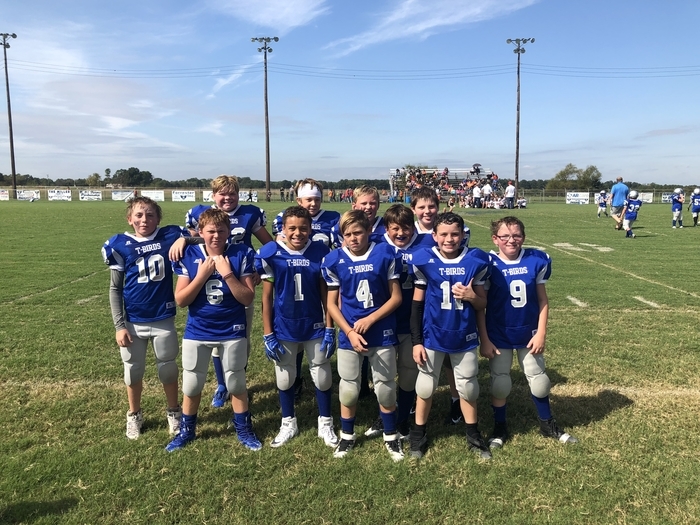 The peewee football games have been rescheduled for Monday at 5:00. 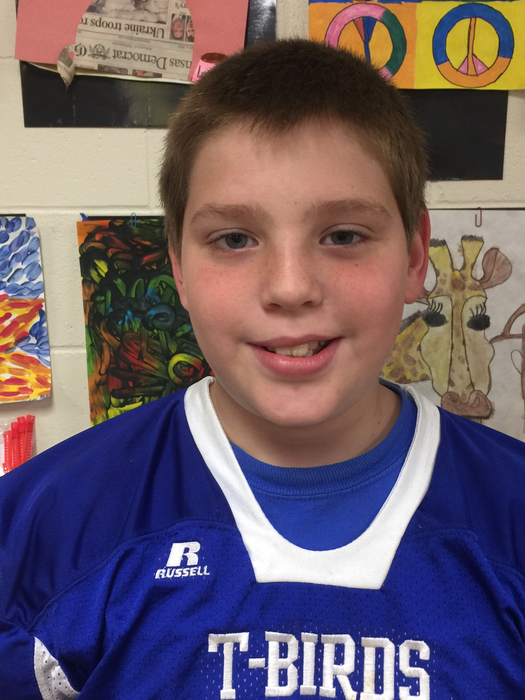 Football players need to bring their game gear and stay after school. The players will be fed before the game. Thank you to all of our grandparents who came out to our Grandparent Breakfast today. We love hosting this event each year and appreciate your continued support! Parent teacher conferences are next week. High school: Tuesday, September 11 4:30-7:30 Elementary: Thursday, September 13 4:30-7:30 We look forward to seeing everyone there. Cross County Schools will not be in session Monday, September 3, 2018 in observance of Labor Day. Tonight, the Cross County Thunderbirds go up against Harrisburg at Thunderbird Stadium. As you know, we launched a new app, so the first parents or community members who find Mr. Prince to show him they have downloaded the app at tonight’s game will receive free Thunderbird merchandise (excludes school staff and students). There will be several items to choose from. See everyone tonight! Friday night, Cross County will host Harrisburg at Thunderbird Stadium. The game starts at 7:00. Come out in Tbird Blue to support the Thunderbirds. We look forward to seeing everyone there. Mrs. Fisher’s 7th grade English class is reading The Outsiders. Today, they learned about types of conflict and how those were represented in the book. Students worked in groups, analyzed text, and used digital journals to show what they learned today. 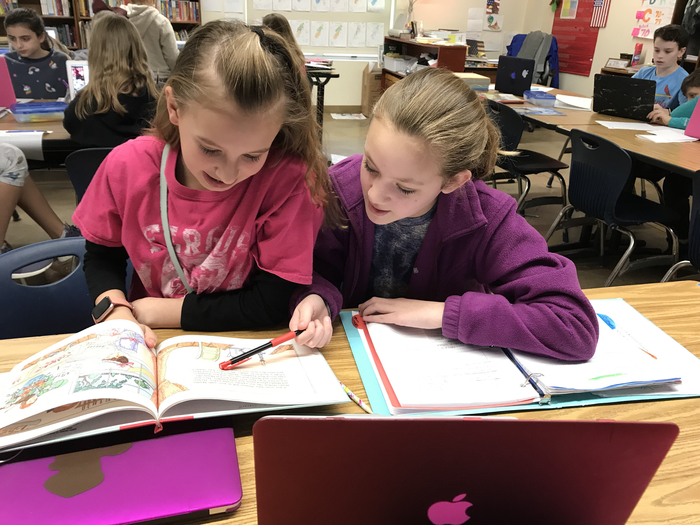 Fourth grade started their Ancient Greece unit centered around reading The Lightning Thief. 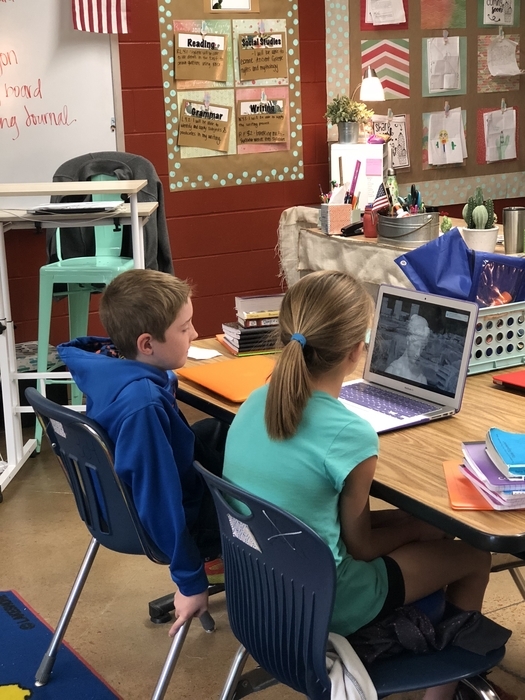 Today they learned through videos, group discussions, and writing about Ancient Greek vases and their significance in Ancient Greek culture. 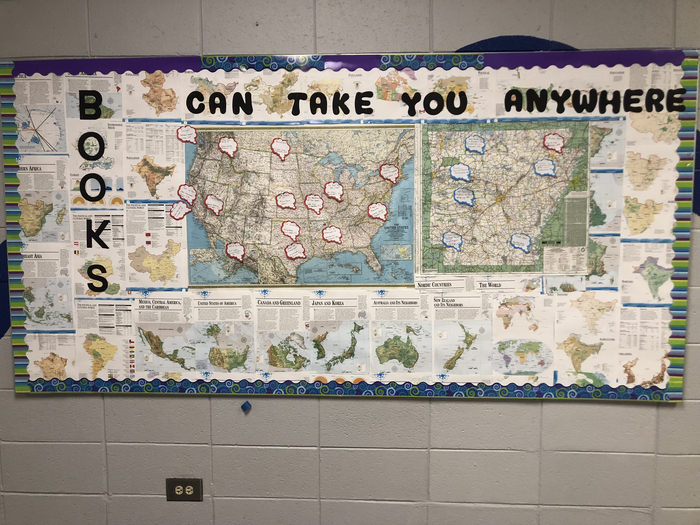 Can books take you anywhere? Go see Mrs. Elane in the library to check out your ticket now. 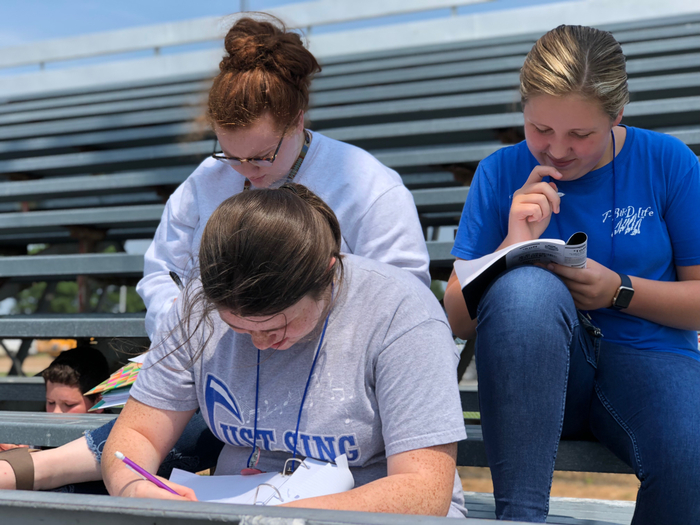 Mrs. Fisher’s Creative Writing class enjoyed the weather to take a tour around campus to draw inspiration from their surroundings to write fictional stories. This year at Cross County Elementary we are emphasizing kindness. We work each day on growing academically, but character and kindness are just as important. 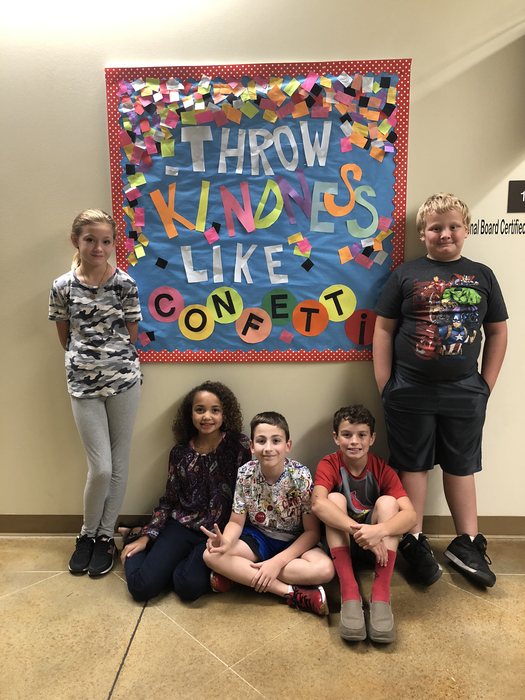 Our wonderful students are complimented for their excellent behavior everywhere we go, and we don’t ever want that to change! 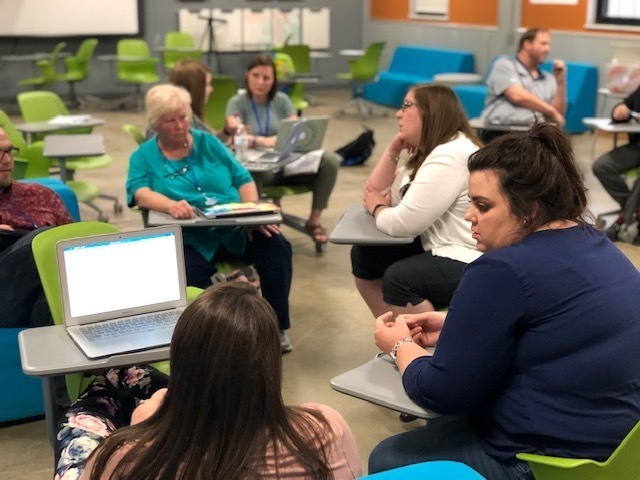 Each week our teachers meet to work on becoming the best teachers around. This week we are focusing on questioning and providing feedback to students in the classroom. 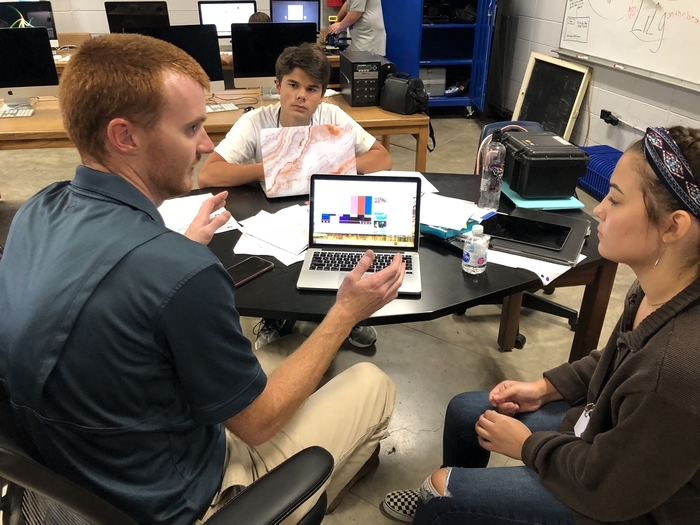 Mr. Blake’s EAST class is hard at work on the live streaming gearing up for a new football season! 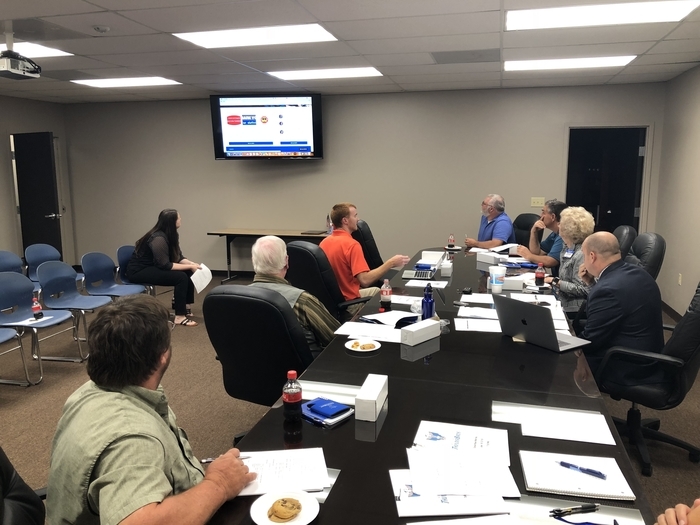 Mr. Blake is training the school board on our new website and its features. 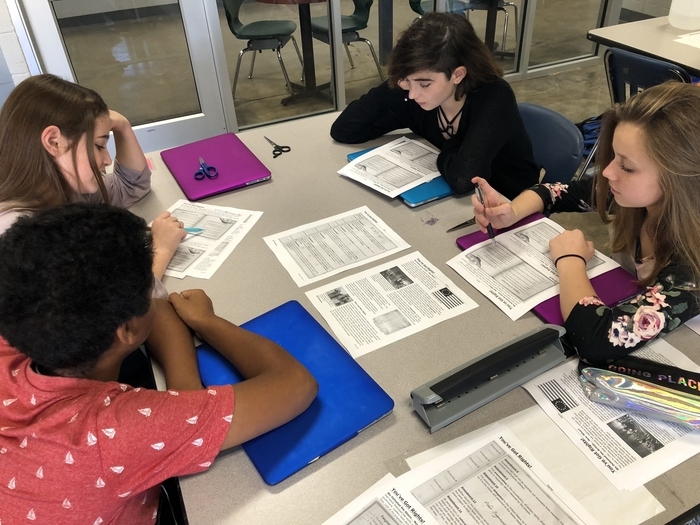 In an effort to make science real-world applicable, Mrs. Armstrong has gotten the students involved in defining what science is. We are working hard on using our letter sound knowledge to build words during centers. 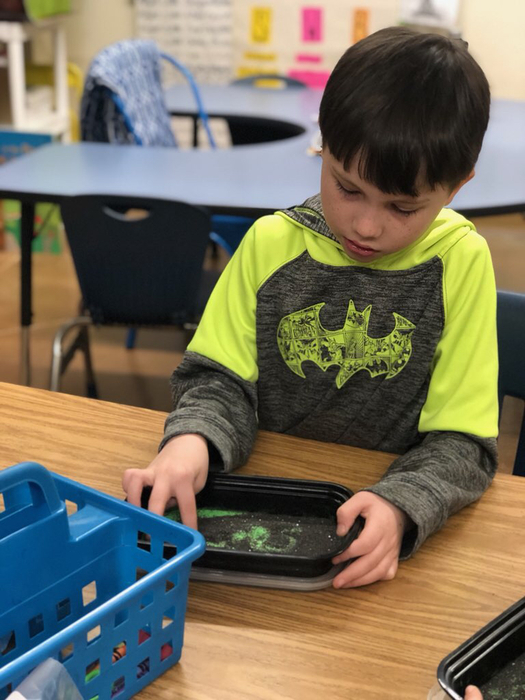 Kindergarten read about sandcastles in Mrs. Karen’s art class and created sandcastle pictures using glue and real sand.